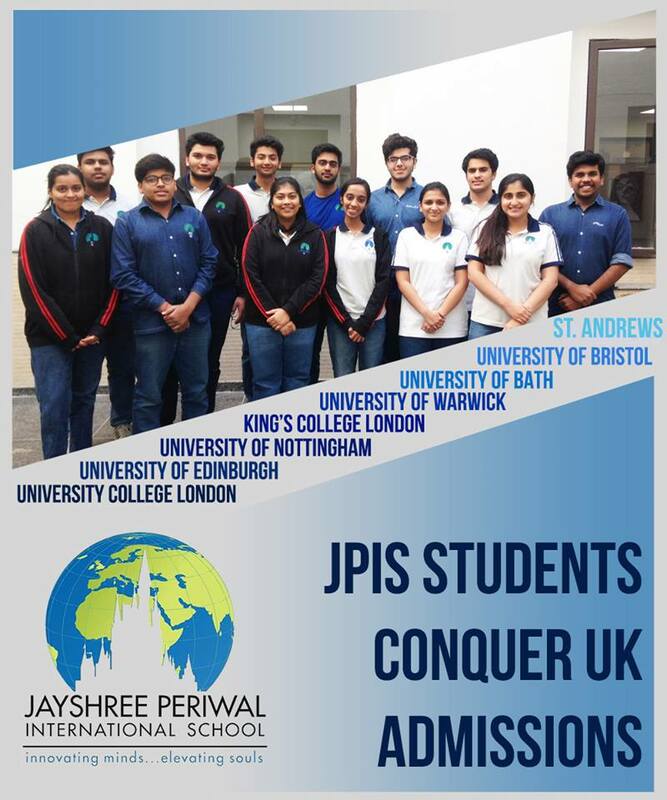 JPIS receives the maximum number of awards in India from Cambridge for our phenomenal IGCSE Grade 10 Board Examination results. 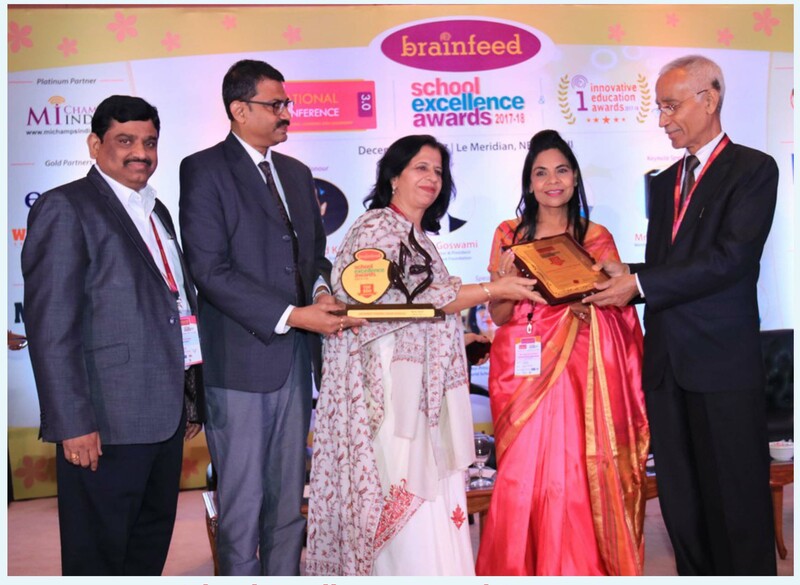 Our Chairperson Dr Jayshree Periwal and Principal, Dr Alka Goel along with our All India Topper Aman and World Toppers Ronit, Manav, Arnav, Anirudh and Ananya were felicitated in a glittering ceremony held in Mumbai. 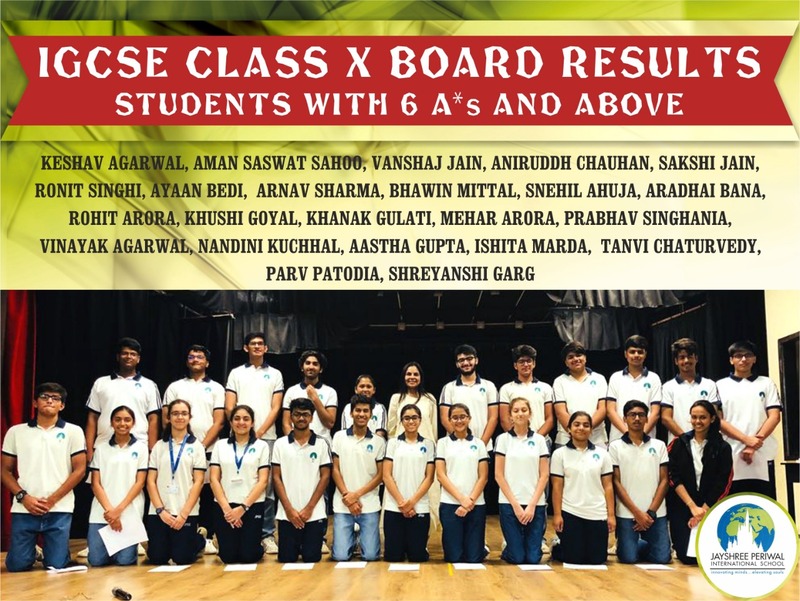 Breaking all previous records in Art and Design Grade 10 IGCSE Board Examinations, all JPites get A stars and Juhi, Dhrishti and Devanshi top the school with 97%. 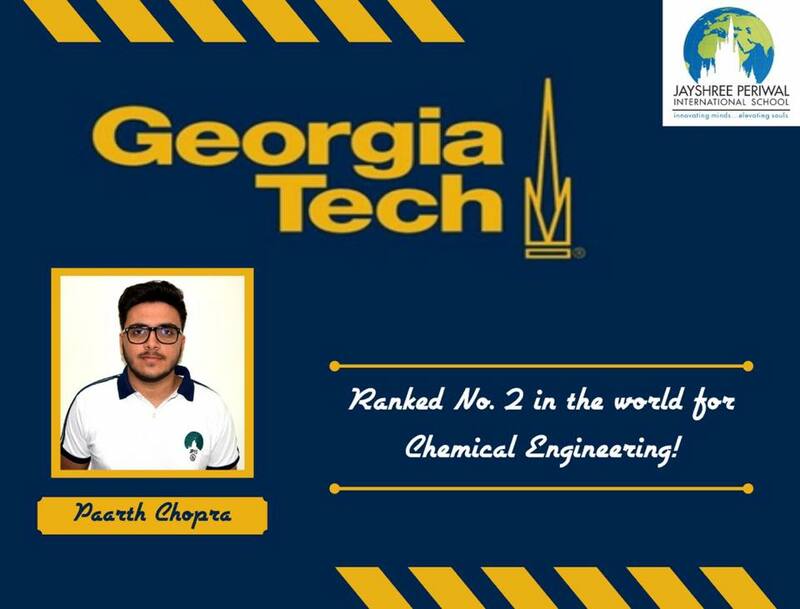 We are proud to share that Paarth Chopra makes it to GeorgiaTech, USA for chemical engineering. Congratulations Paarth! 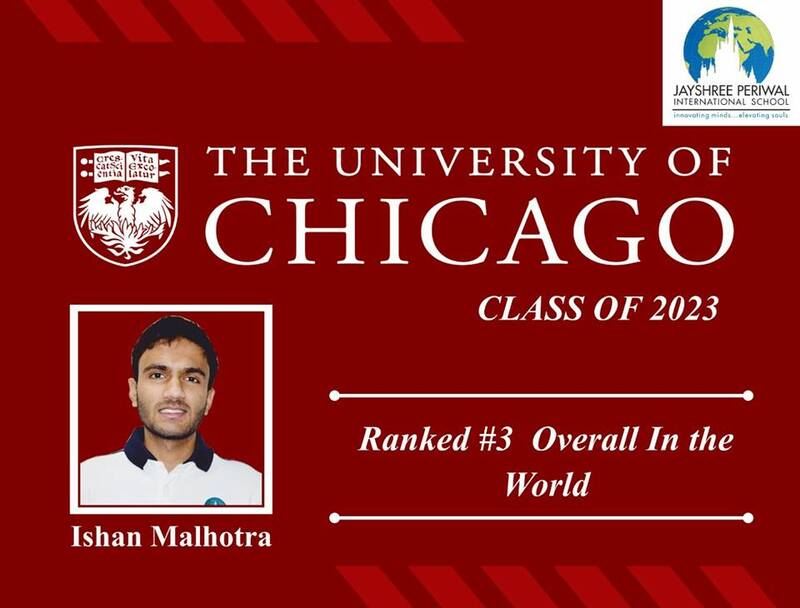 Ishan Malhotra of JPIS makes it to The University of Chicago, ranked No. 3 in the world - overall. 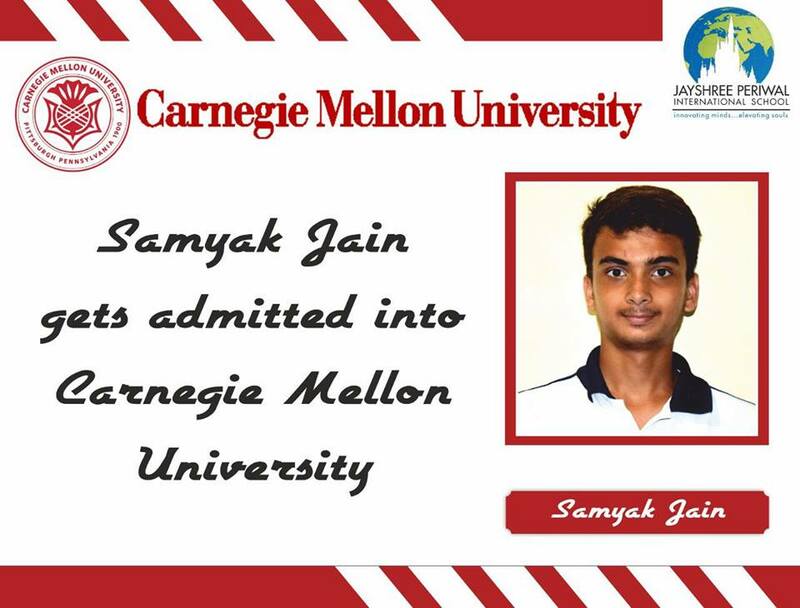 JPIS student Samyak Jain makes it to Carnegie Mellon University for engineering. It is ranked in the top 5 in the World for Engineering. 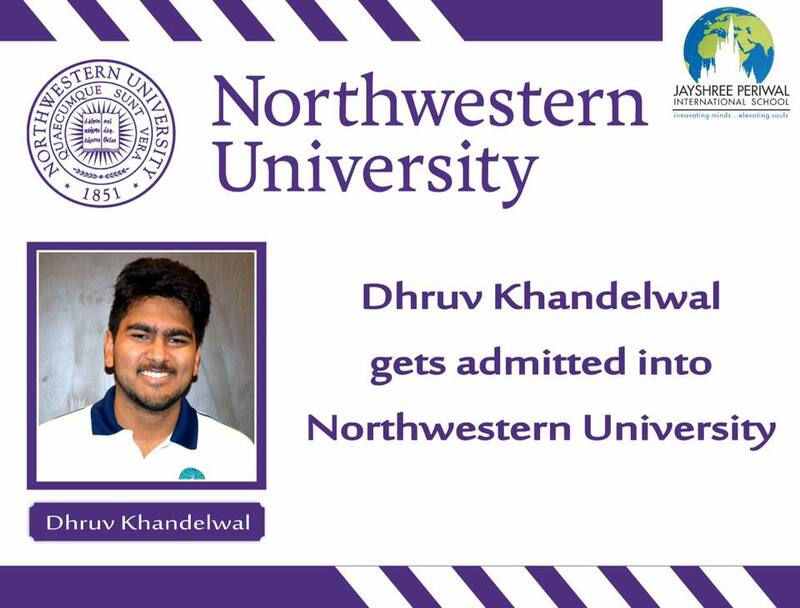 JPite Dhruv Khandelwal gets admitted into Northwestern University, one of the most competitive universities in USA. 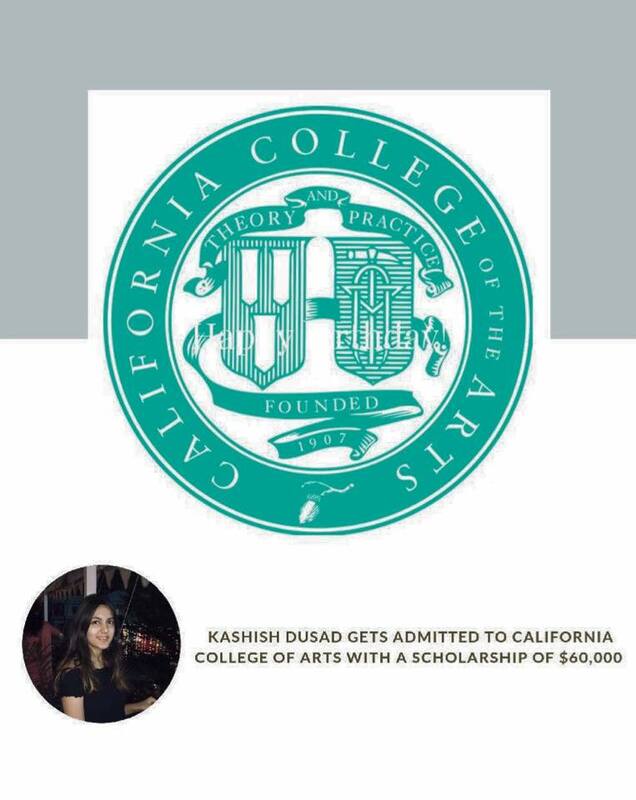 With a keen eye for graphic design, we look forward to seeing Kashish take the world by storm and transform the design space through her admission into California College of Arts with a 60,000 USD scholarship. 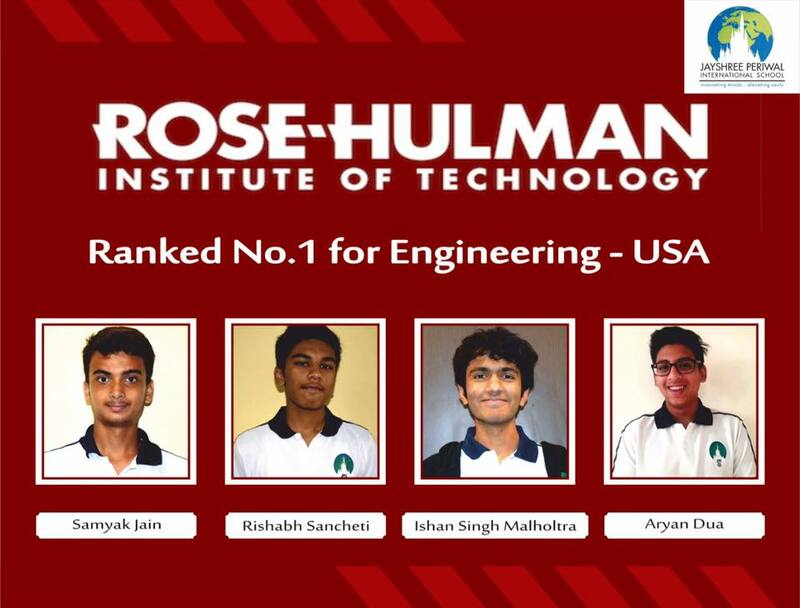 JPITES Samyak, Rishabh, Ishan & Aryan make it to Rose Hulman - ranked No. 1 for Engineering in USA. 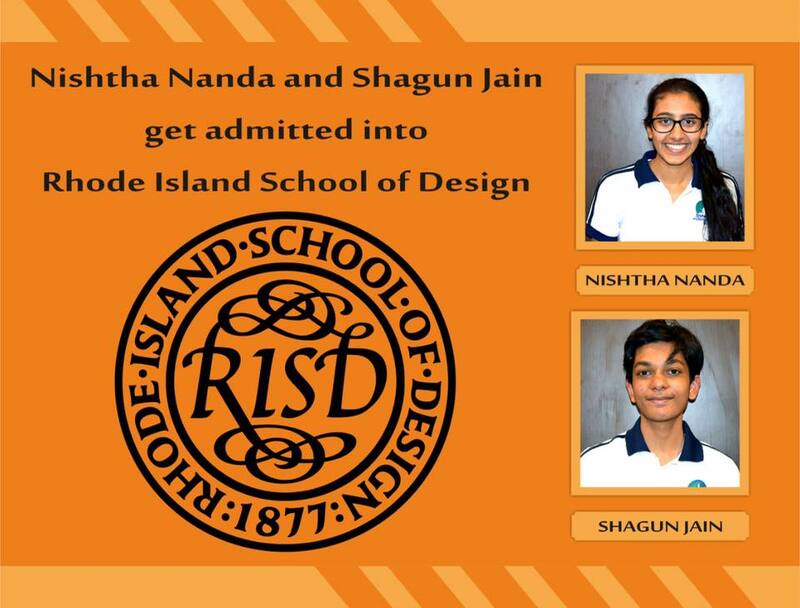 Our budding artists Nishtha Nanda and Shagun Jain get admitted into the prestigious Rhode Island School of Design, ranked No.1 Art and Design School in USA. 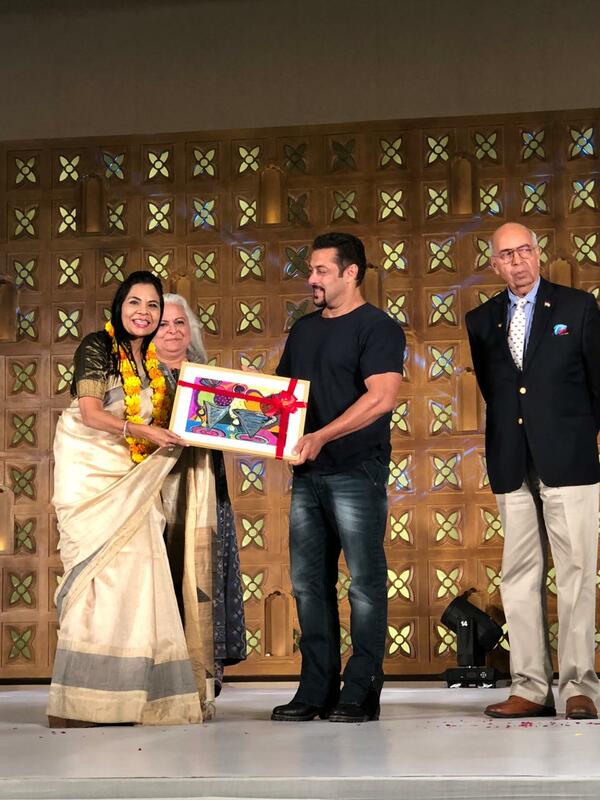 Dr. Jayshree Periwal, our visionary and iconoclast, was felicitated by Salman Khan for constantly supporting the children of Umang NGO. A proud moment for the entire JPGS family. Believing in excellence and committing to perseverance, we are happy to be ranked by Education World as No.6 in India as well as No.1 in Rajasthan. 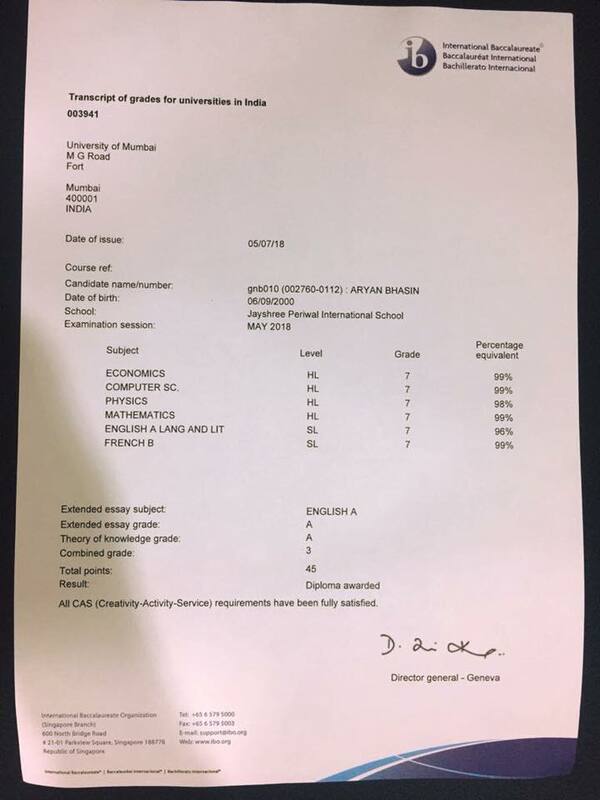 Brilliant IGCSE results Ronit Singhi tops with an average of 99%. 43 students score above 90%. 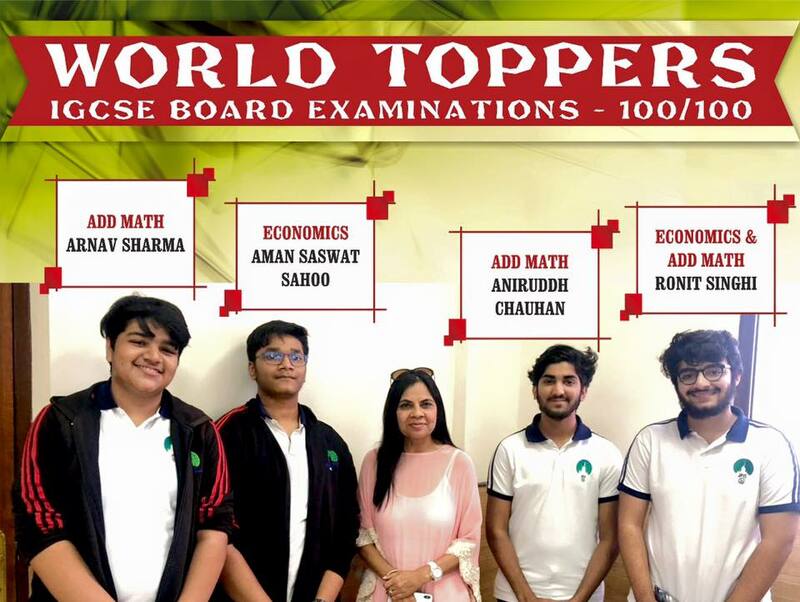 6 students are World Toppers. Our shining stars are Ronit Singhi, Arnav Sharma, Aman Sahoo, Khanak Gulati, Vanshaj Jain, Tanvi Chaturvedi, Snehil Ahuja, Parv Patodia, Anirudh Chauhan and Ishita Marda. We are proud to share our student Armaan Agarwal of Grade 1 is All India Rank no. 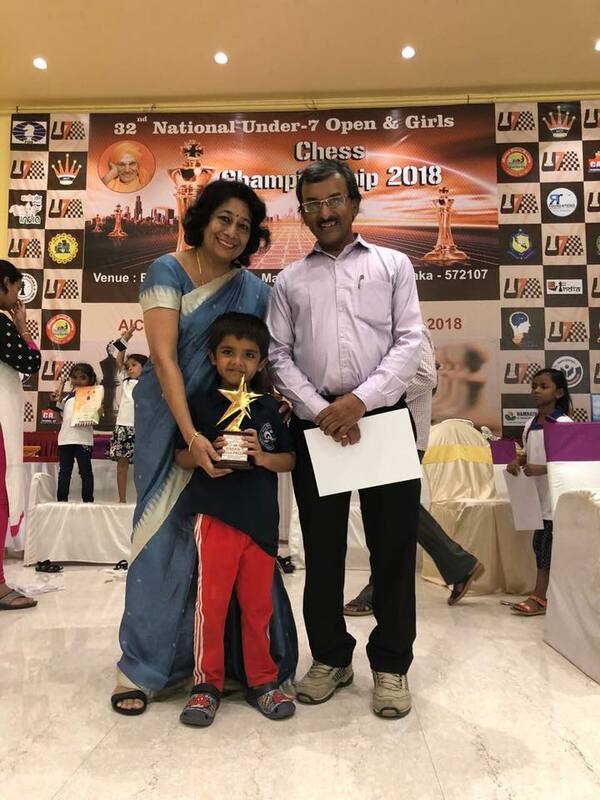 3 in the National Chess Competition held in Bangalore. He will be representing India in Asians and Commonwealth now as part of the official Indian Team. He is the first child from Rajasthan to win this title. 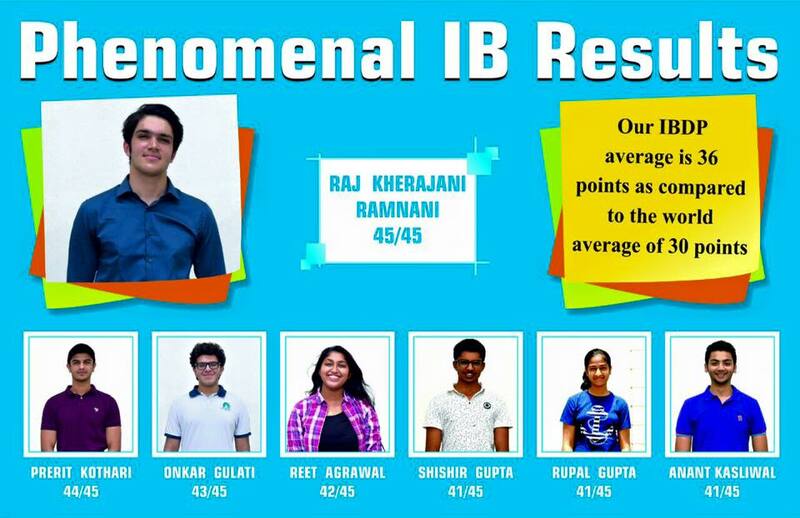 Our outgoing Head Boy Aryan Bhasin breaks all records by not just scoring a perfect 45 out of 45 points in his IBDP but also gets phenomenal marks in all his subjects. Congratulations Aryan! JPItes excel in IBDP results. All previous records broken. Aryan Bhasin scores a perfect 45/45. Anushree Goyal and Yashvardhan Bairathi score 44/45. Samyak Kumar and Soumit Roy score 43/45 and several students score above 40. 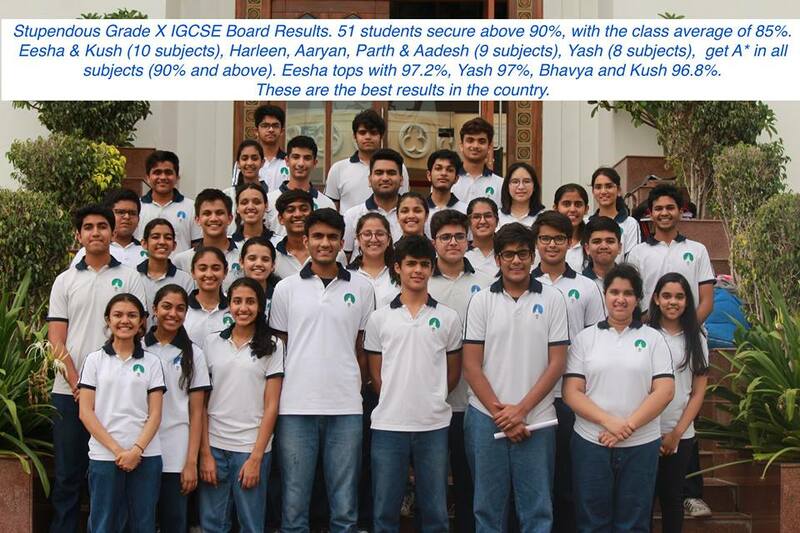 JPites yet again break records with the phenomenal results received in the IGCSE Grade 10 Board exams. Ronit Singhi, Aniruddh Chauhan & Arnav Sharma top the World in Additional Mathematics with a perfect score of 100/100. Aman Sahoo & Ronit Singhi top the World in Economics with a perfect score of 100/100. 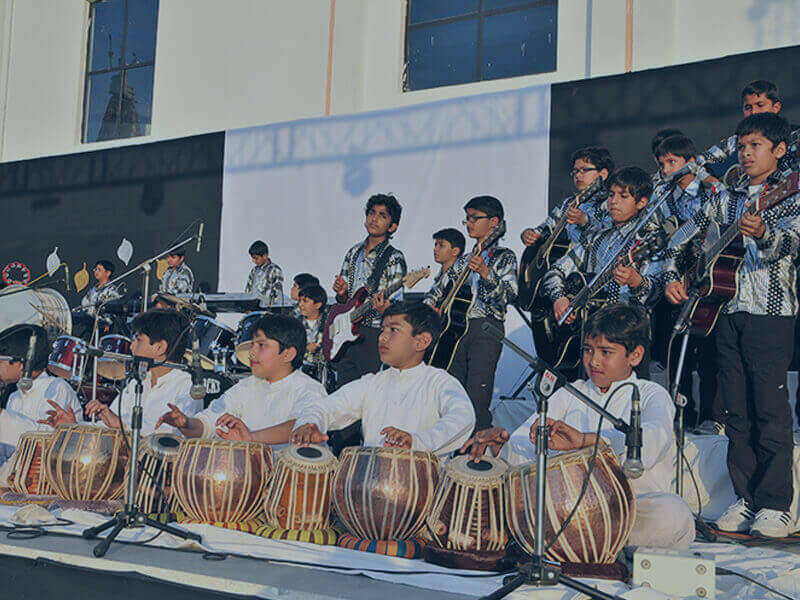 The school has the best Art and Design results in the World with 98% of the students securing 90% and over. 40 students have secured an aggregate of over 90%. These are results only for a few exams which the students have given, the final result of other subjects will be released in August. 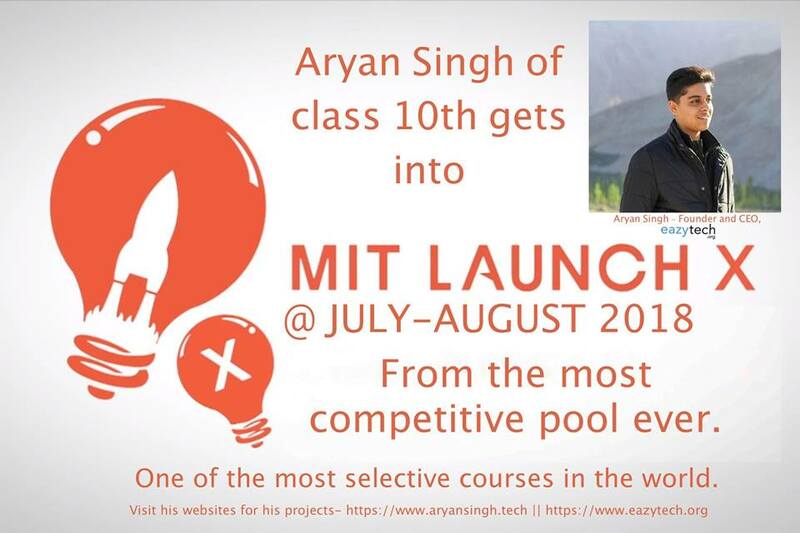 Our JPite Aryan Singh gets selected into the most competitive MIT Summer Programme to be held at MIT, USA for budding techpreneurs. 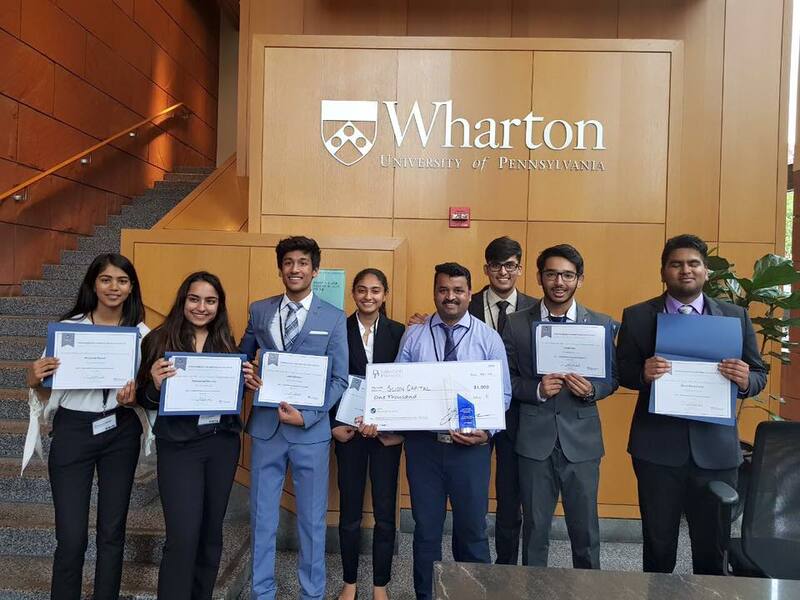 JPIS students of Grade 11 win the biggest investment competition in the World which is hosted and held at UPenn's Wharton School of Business. 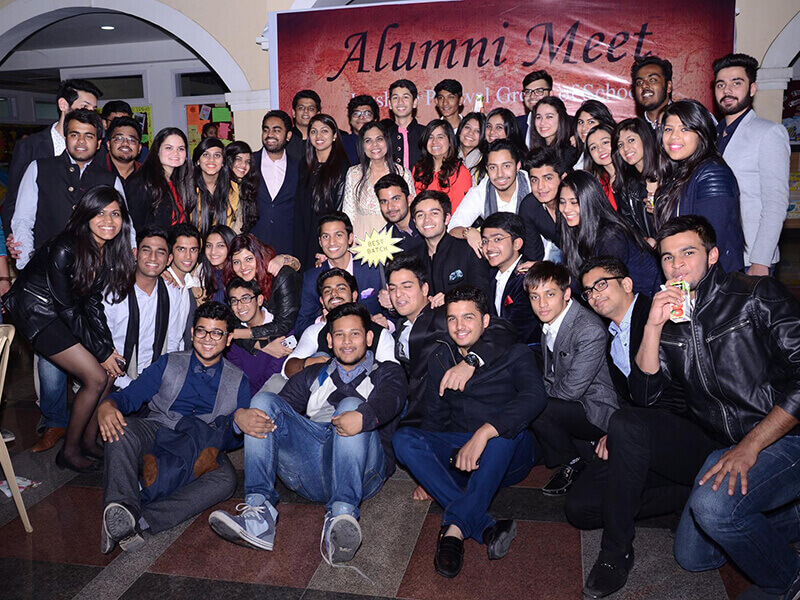 JPIS emerged victorious competing against the best and brightest in the World. 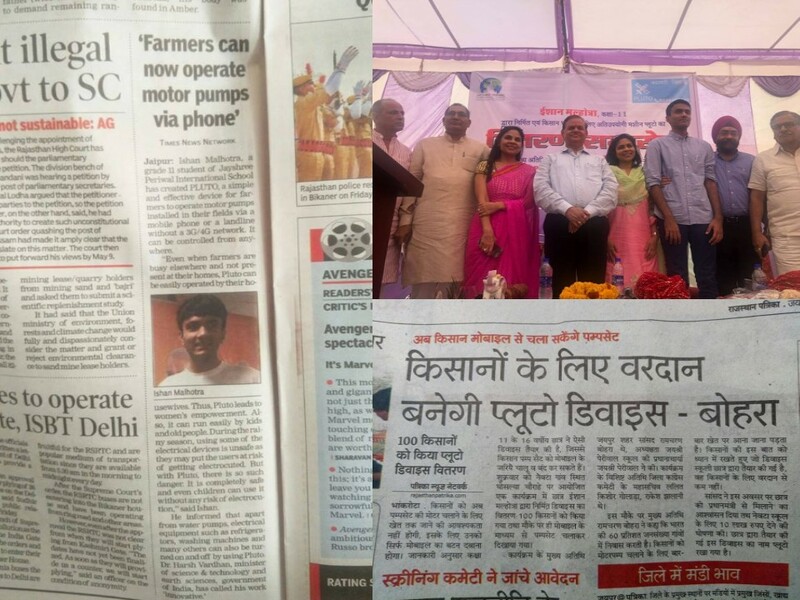 Grade 11 student Ishan Malhotra via his device Pluto, is positively impacting farmers across the country. He was recently felicitated by the farmers of Rajasthan. 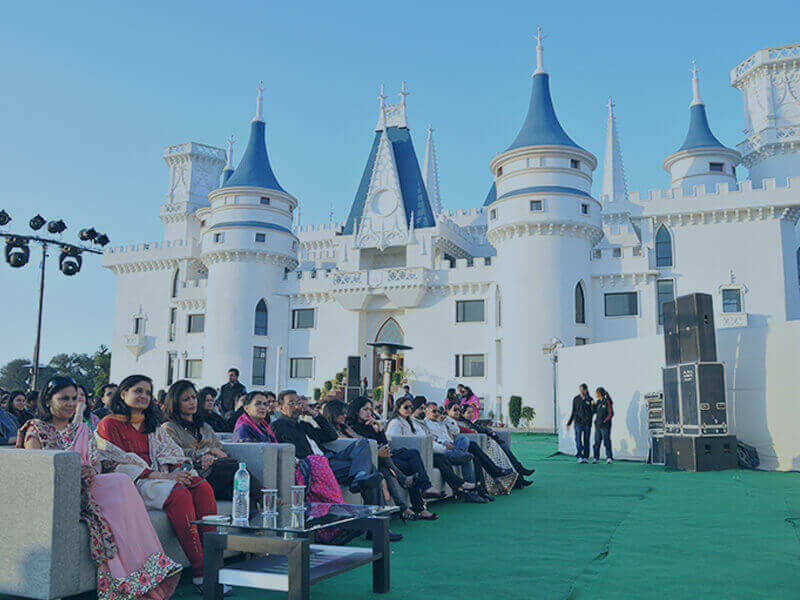 The ceremony was attended by Mr. Bohra Member of Parliment along with Dr. Jayshree Periwal. 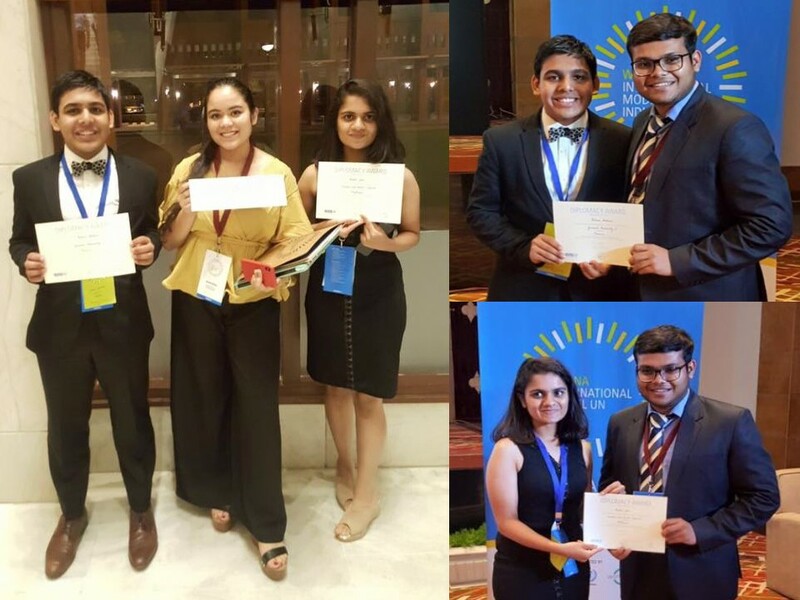 Anisha Jain and Rohan Mathur win the prestigious Diplomacy Award at the WFUNA International MUN Conference held in Agra. 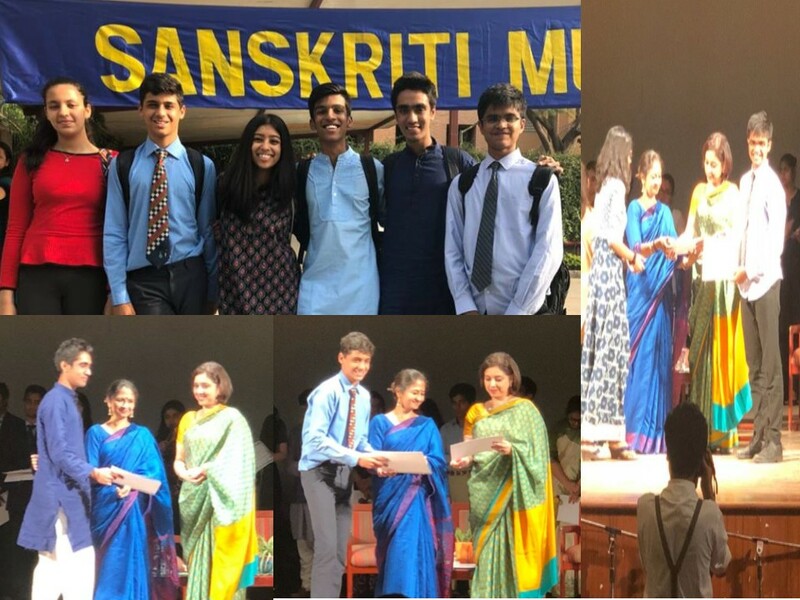 JPIS MUN Delegation wins laurels at the Sanskriti School MUN in New Delhi. They were awarded by Suhasini Swamy Haidar she is the Diplomatic Editor of The Hindu and a presenter on the “WorldView with Suhasini Haidar” on CNN IBN. 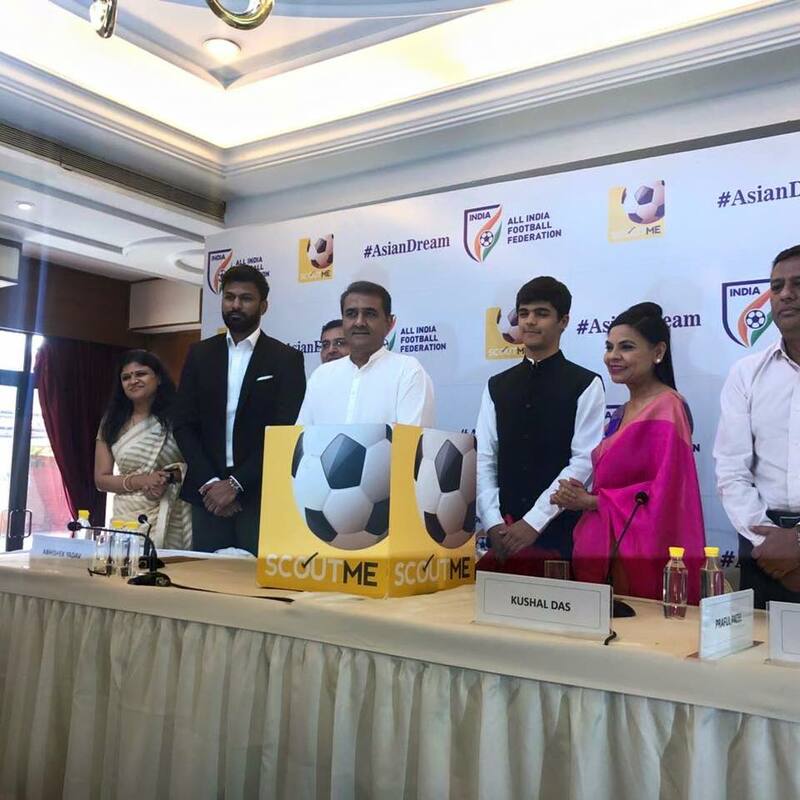 Our School Head Boy Kush Pandey's official scouting app 'Scout Me' was launched by All India Football Federation at a ceremony held in Delhi. The unveiling was done by Praful Patel and our chairperson Dr. Jayshree Periwal. 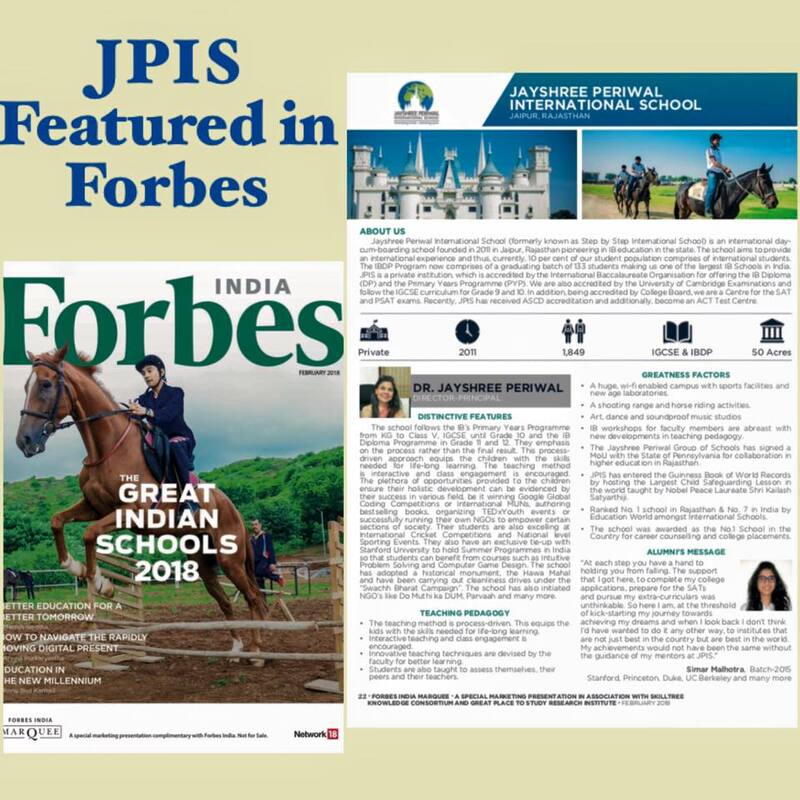 In a historic feat, JPIS has been recognized and featured by FORBES (most renowned business magazine in the World), as the best place to study in India. 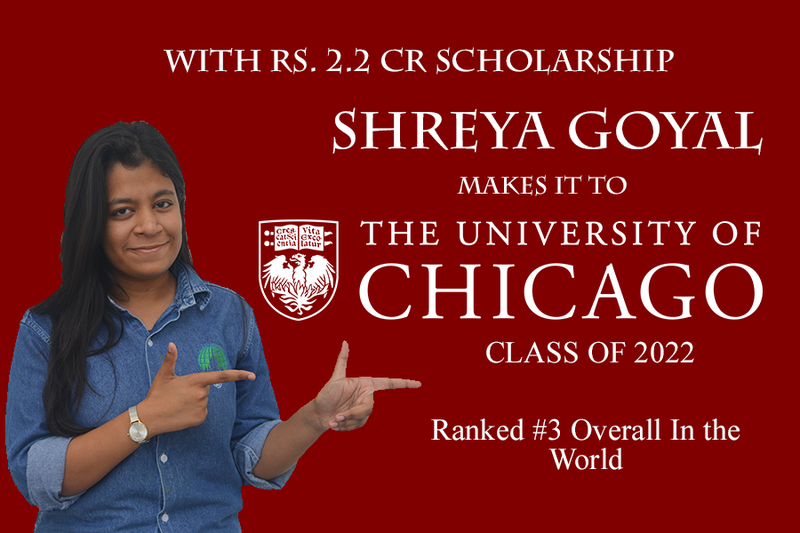 Shreya Goyal gets admitted, in a monumental achievement, to the University of Chicago to pursue economics with a scholarship of Rs. 2.2 crores. UChicago is ranked No.3 in the World overall and ranked No.1 for Economics! 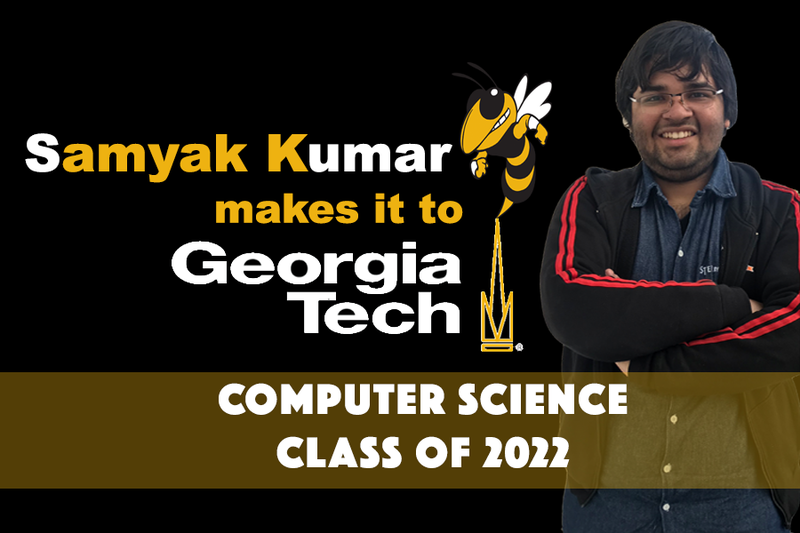 Samyak Kumar, our in-house Artificial Intelligence enthusiast and TEDx Speaker, makes it to the prestigious and extremely competitive GeorgiaTech Ranked No. 4 in the World for Engineering, to study Computer Science. We are so proud! 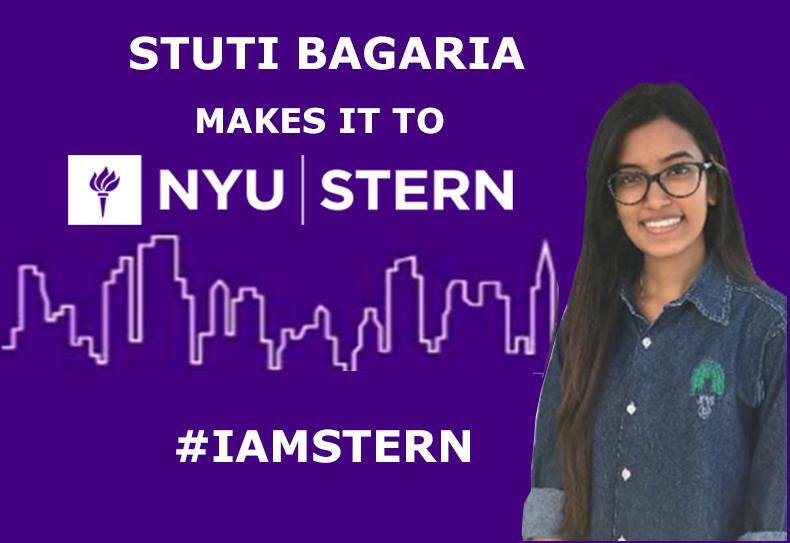 Our budding entrepreneur Stuti Bagaria, makes it to Stern School of Business at NYU, ranked No.2 for Finance in the World! 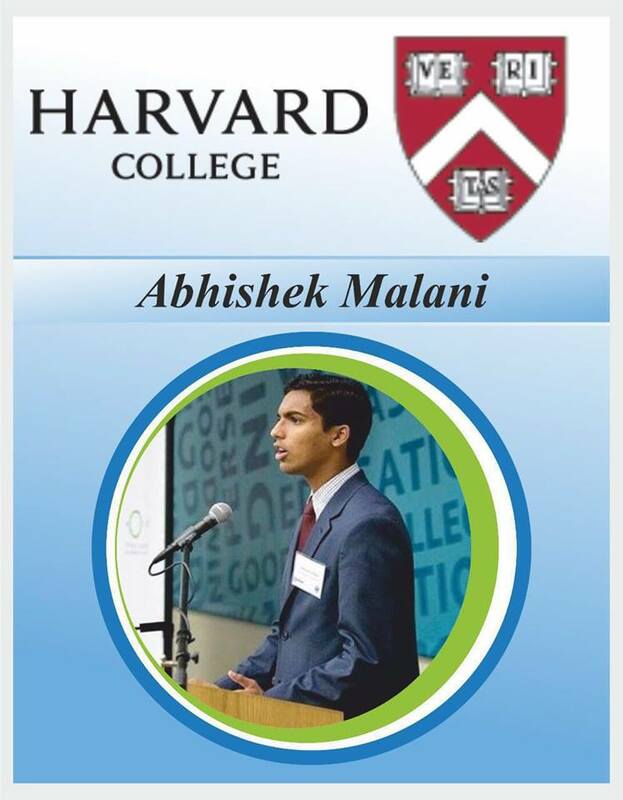 Abhishek Malani has been an integral part of the school since Grade 1. Congratulations for making it to Harvard. 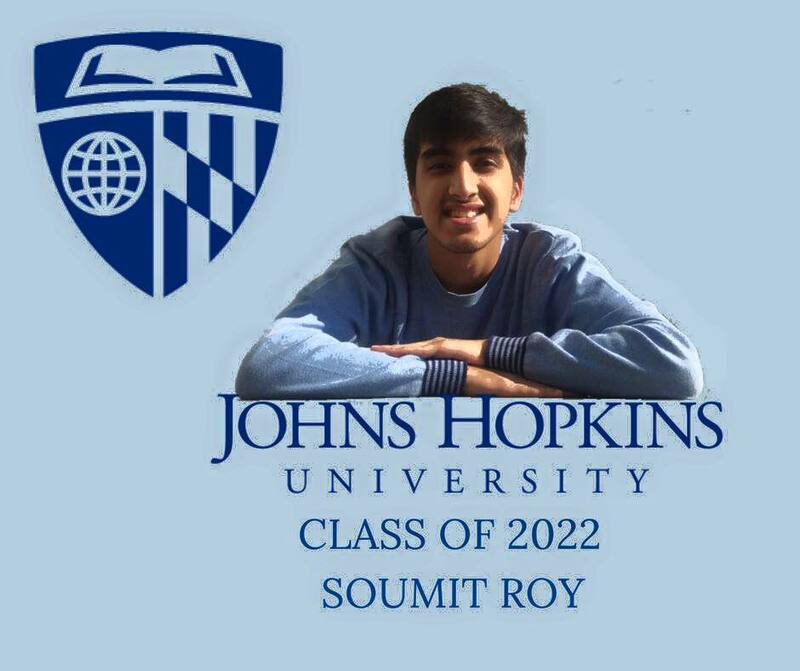 Our super scientist Soumit makes it to the prestigious Johns Hopkins University. Congratulations! 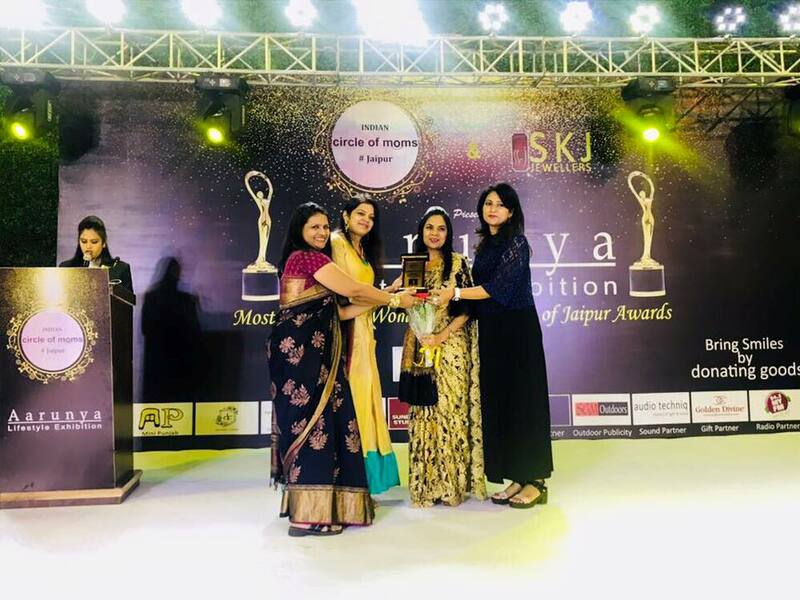 Our visionary gets awarded as the 'Most Successful Women Entrepreneur' by the Indian Circle of Moms at a glittering ceremony organized in Jaipur. From 1 student in the garage to over 10000, Dr. Periwal's journey is truly inspirational. 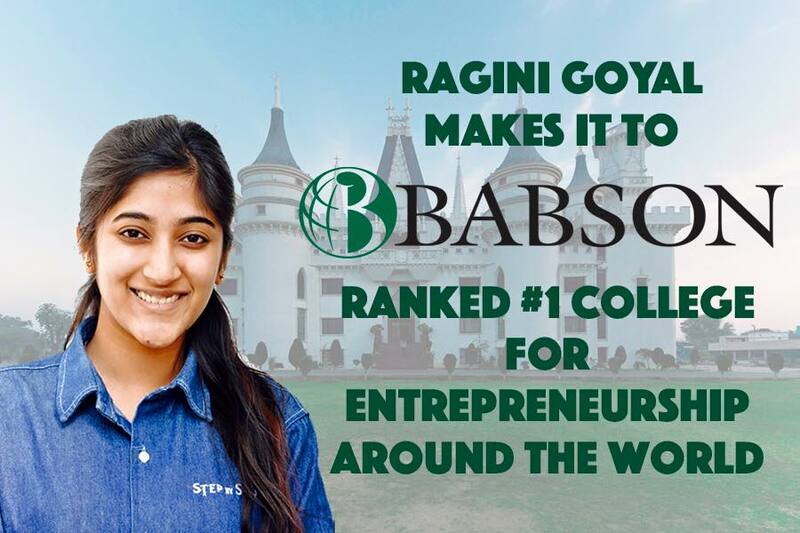 JPite Ragini Goyal makes it to the illustrious Babson College, No. 1 for Entrepreneurship. Congratulations! 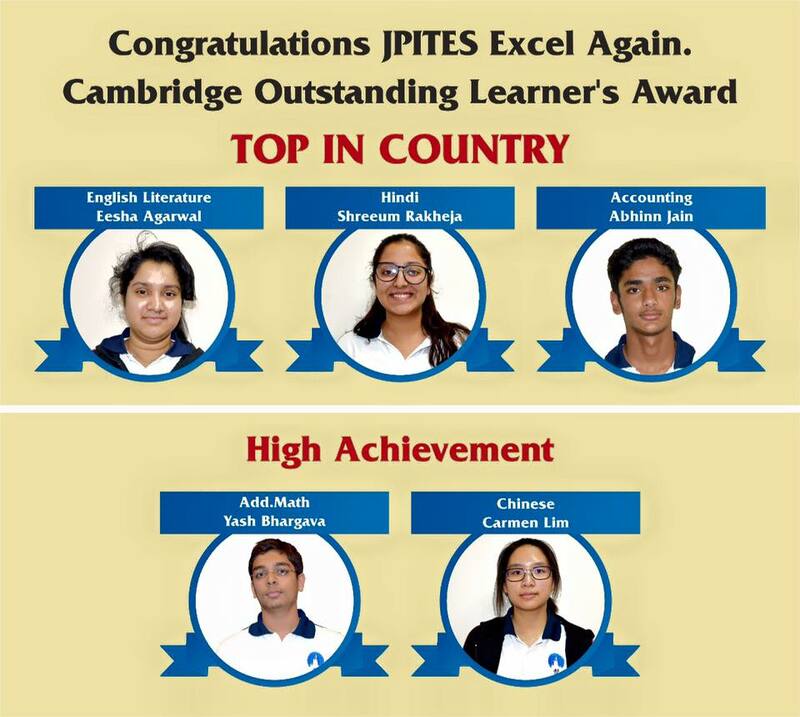 Topping the country has become a habit and JPites yet again make their mark on a national scale. Eesha, Shreeum and Abhinn top the country in the IGCSE exams in English Literature, Hindi and Accounting respectively. Yash and Carmen receive the High Achievement Award for their exceptional performance in Add. Math and Chinese! 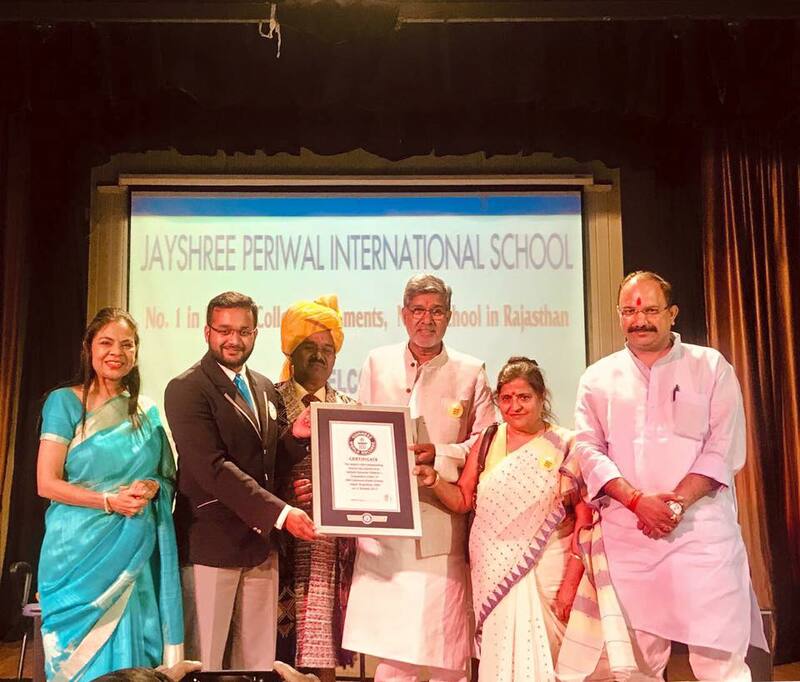 Creating history, JPIS has entered the Guinness Book of World Records by hosting the Largest Child Safeguarding Lesson in the world taught by Nobel Peace Laureate Shri Kailash Satyarthi Ji. Satyarthi ji spoke to the children about personal safety and rights of children. 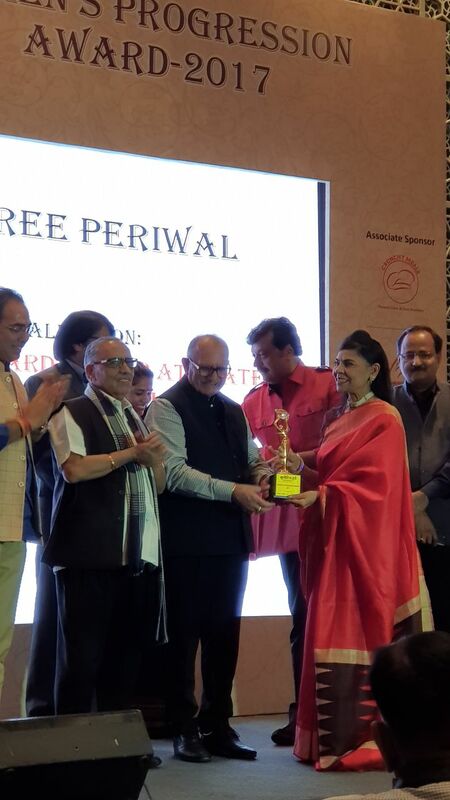 In a legendary feat, Dr. Jayshree Periwal was awarded the Giants Award in Mumbai by Sadhguru and Shaina NC for her revolutionary work in the field of education. 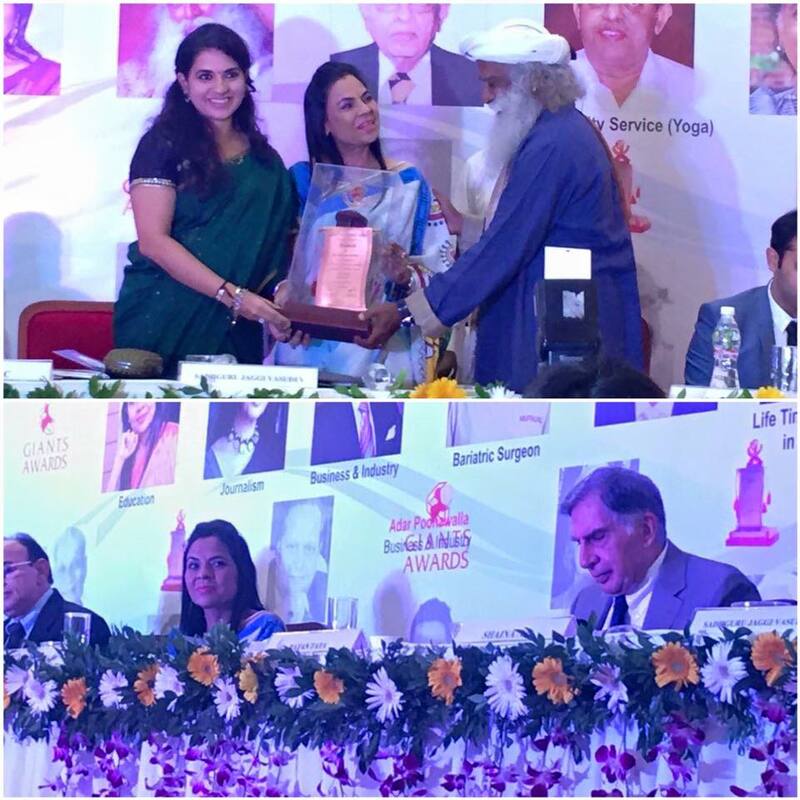 Other awardees at the event included the iconic Mr. Ratan Tata for his Public Service. Its a proud moment for the entire JPGS family to see our dynamic director being recognised amongst legends like Mr. Tata, Sachin Tendulkar, Lata Mangeshkar etc. 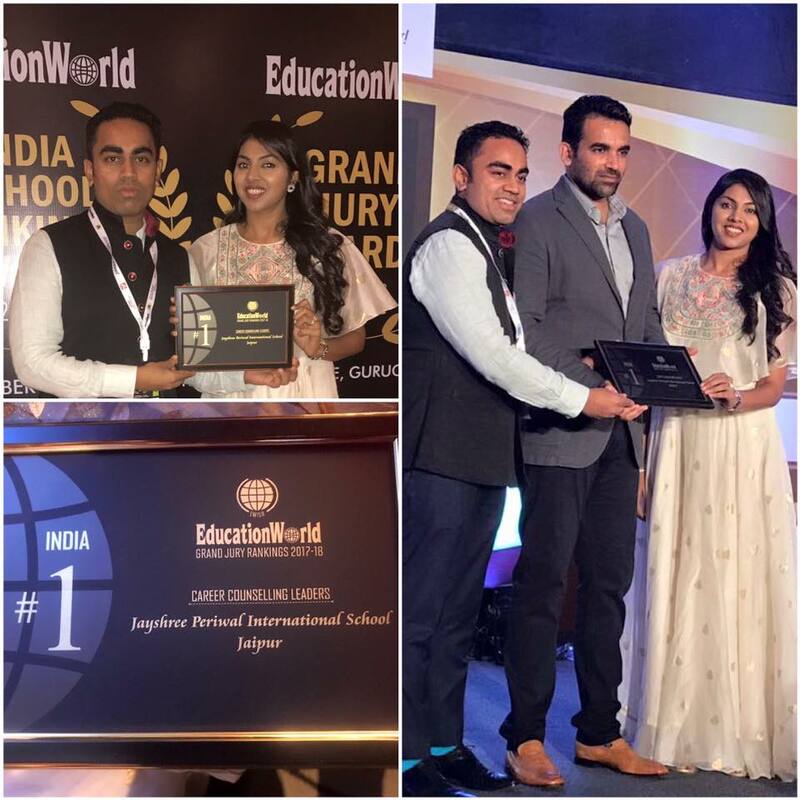 Jayshree Periwal International School was awarded as the No.1 School in the Country for career counselling and college placements! Its a glorious moment for the school to recognized nationwide and a true testament to our efforts in making our students dreams a reality. Our students have been placed in the top universities across the world including Yale, Stanford, Wharton, Princeton, Cornell, Columbia, Oxford, LSE etc. Stupendous Grade X IGCSE Board Results. 51 students secured above 90%, with the class average of 85%. Eesha & Kush (10 subjects), Harleen, Aaryan, Parth & Aadesh (9 subjects), Yash(8 subjects), get A* in all subjects (90% and above). Eesha tops with 97.2%, Yash 97%, Bhavya and Kush 96.8%. These are the best results in the country. Aspiring for greater heights every year, we are proud to share our phenomenal IB results for graduating batch of 2017. Raj Ramnani receives a perfect score of 45/45. 15 students secure above 95% and 40 students secure above 90%. 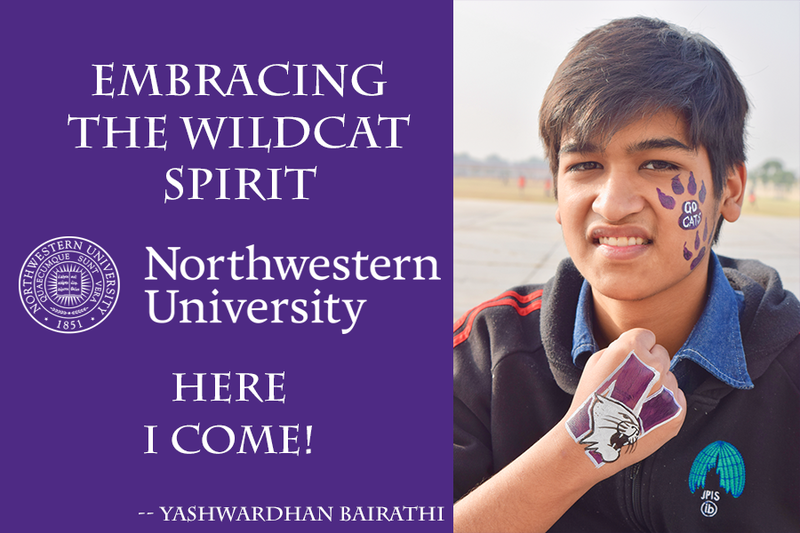 Our Cultural Head Boy Yash Agarwal makes it to the most selective and highly ranked business school NYU Stern. We are so proud. Its been pouring UK University acceptances and we have been excited to update all of you on this. 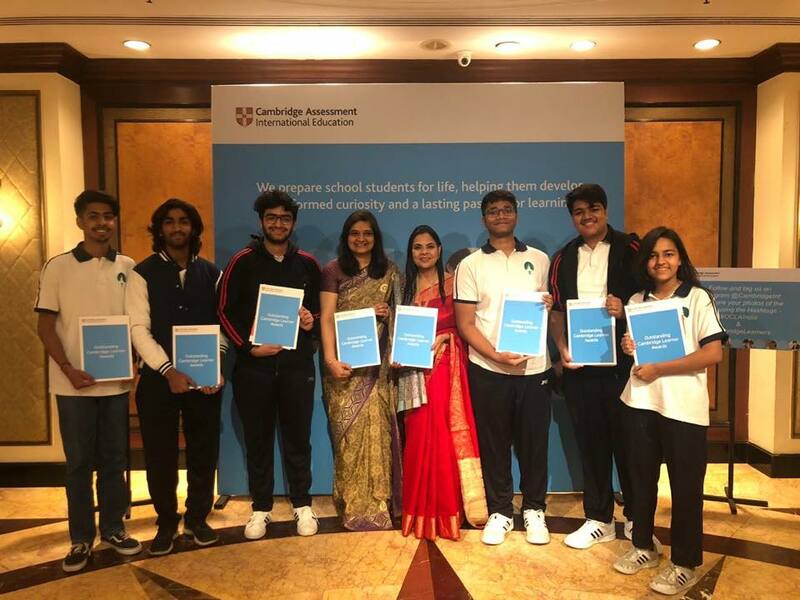 Our students Tanushree, Meetul, Apurva, Pragya, Aanya, Heeral, Swapnil, Shourya, Anant, Yash, Onkar, Arnav and Aaryaman get admitted to UK's top and most selective institutions. Congratulations! 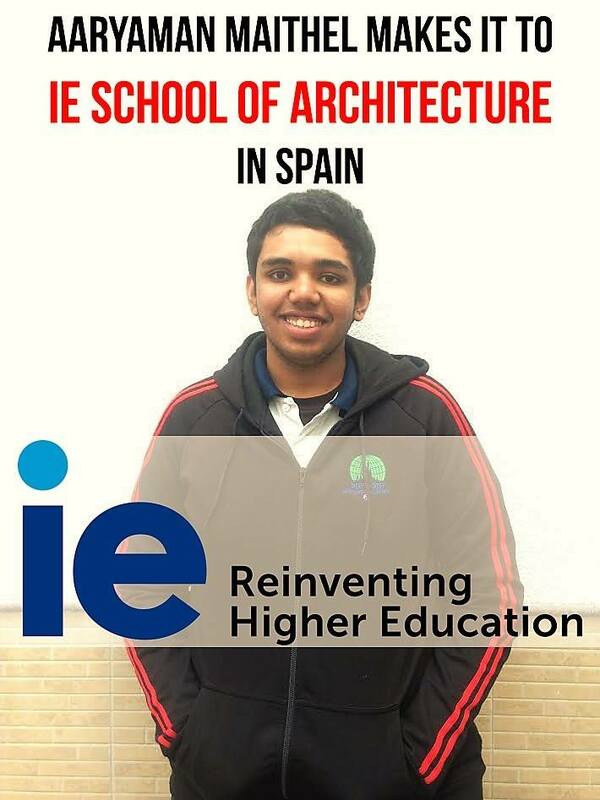 In an amazing feat, Architecture Aspirant Aaryaman makes it to IE University, Spain! 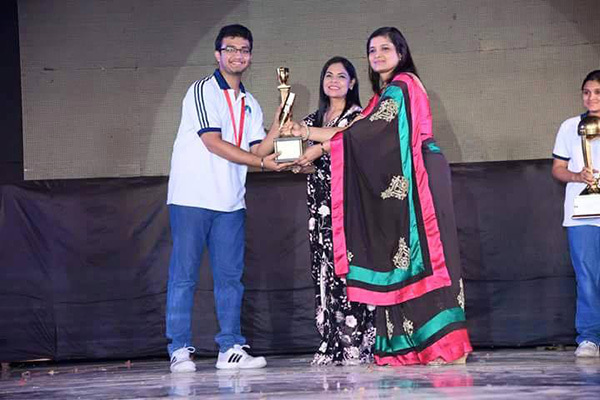 JPIS students Samyak kumar wins 1st prize of Rs. 50,000 and Eesha agarwal wins 2nd prize of Rs. 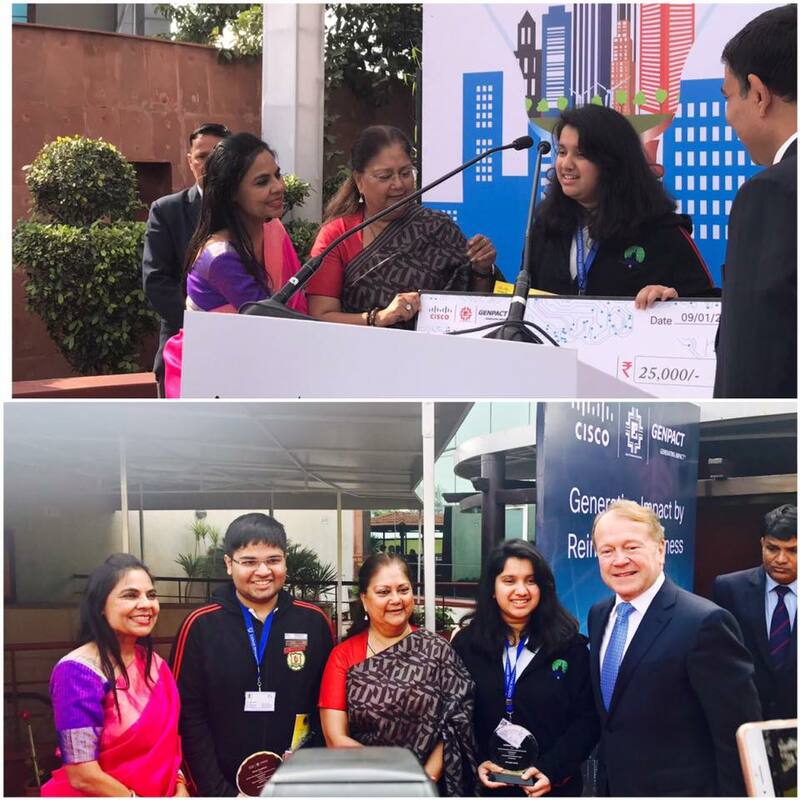 25,000 for the development of kiosk competition by Mr John Chambers Chairman ofCisco and Honourable CM Vasundhara Raje ji in a glittering ceremony. 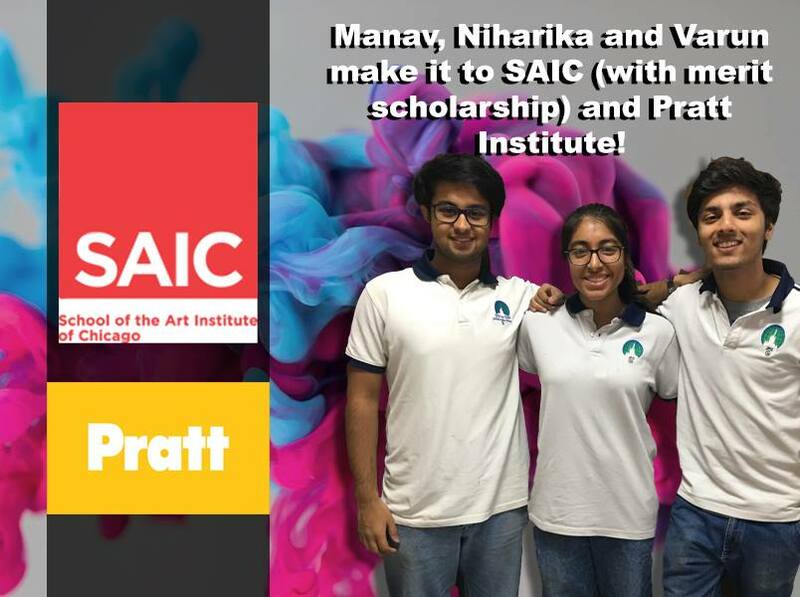 Our aspiring artists Varun, Niharika and Manav make it to their dream school School of Art Institute of Chicago with merit scholarships! Congratulations! 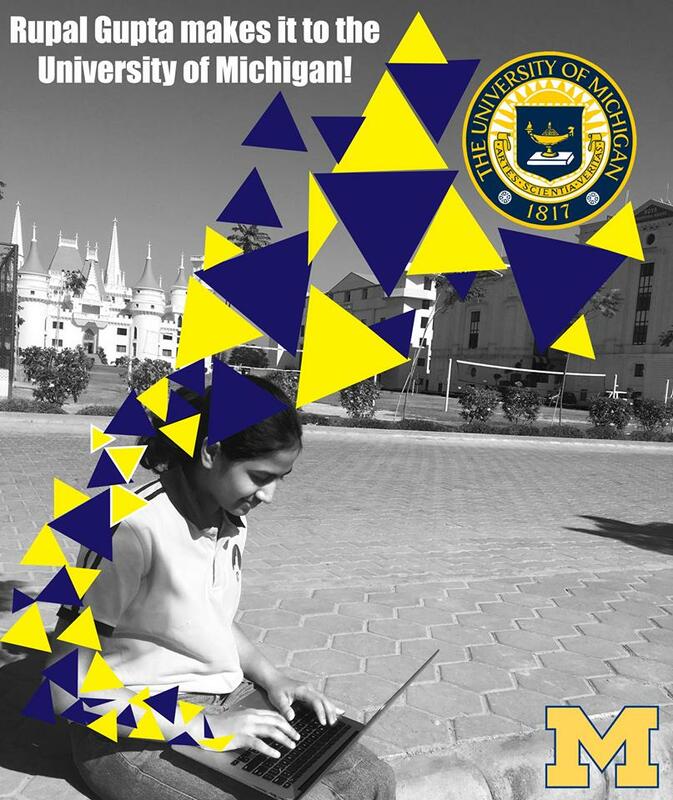 Relentless Rupal makes it to the highly ranked University of Michigan Ann-Arbor! 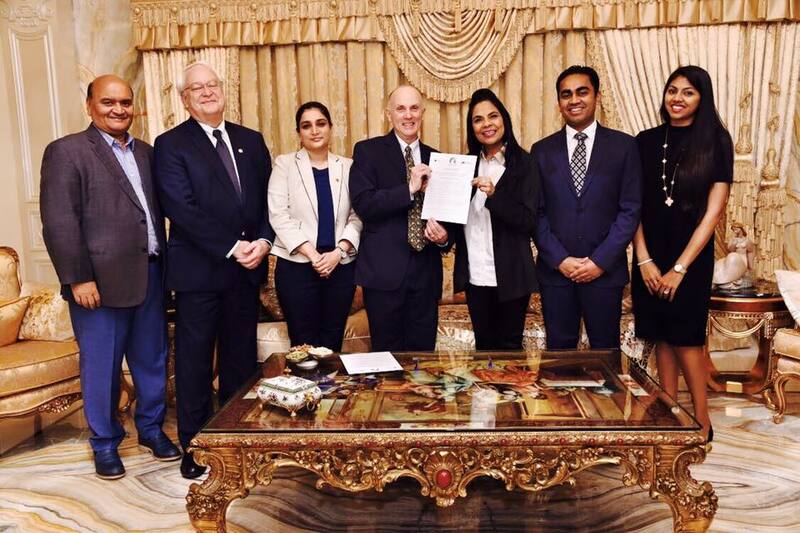 Congratulations Rupal Gupta! 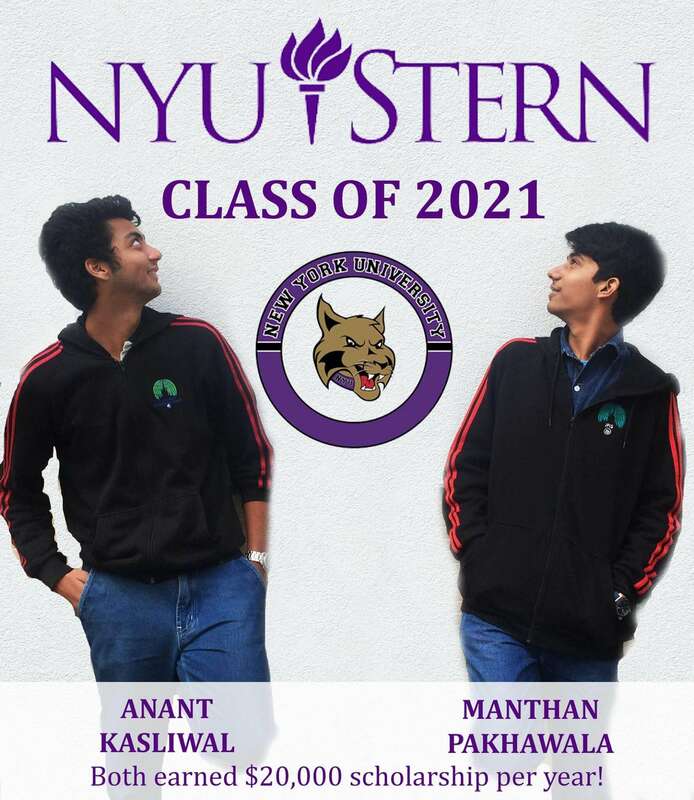 NYU Stern - the finest business school in the World opens its doors to JPites Anant Kasliwal and Manthan Pakhawala. They have both received scholarships amounting to $20,000 per year. Congratulations Manthan Pakhawala Anant Kasliwal! 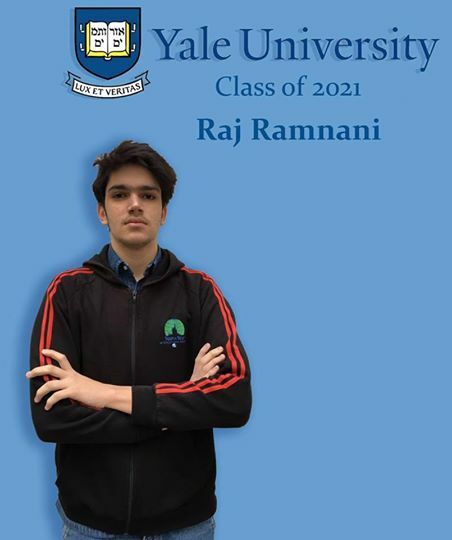 Raj Ramnani makes it to Yale University, consistently ranked as one of the Best Universities in the World. We are so happy and proud. Congratulations Raj! 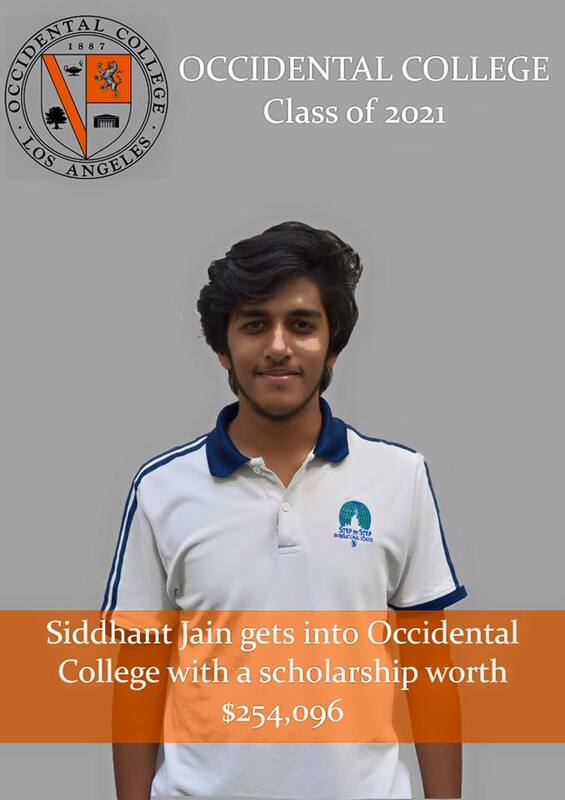 Making us proud, Siddhant Jain makes it to Occidental College with a scholarship of 1.8 crores! It is the same college where current US President Barack Obama studied. 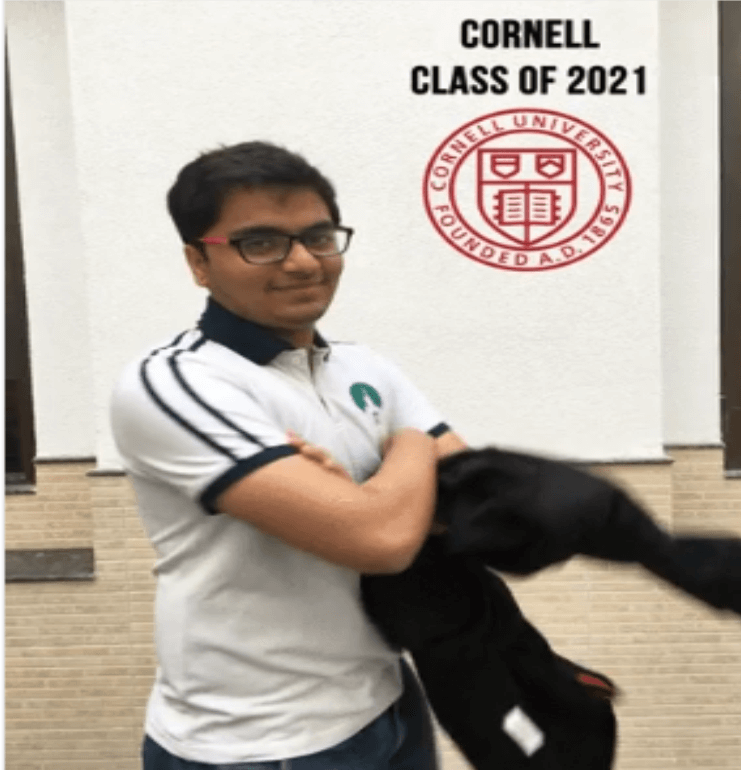 Our Tech Wizard Yash Mundra makes it to Cornell University Class of 2021 for Computer Science! We are so proud and ecstatic. 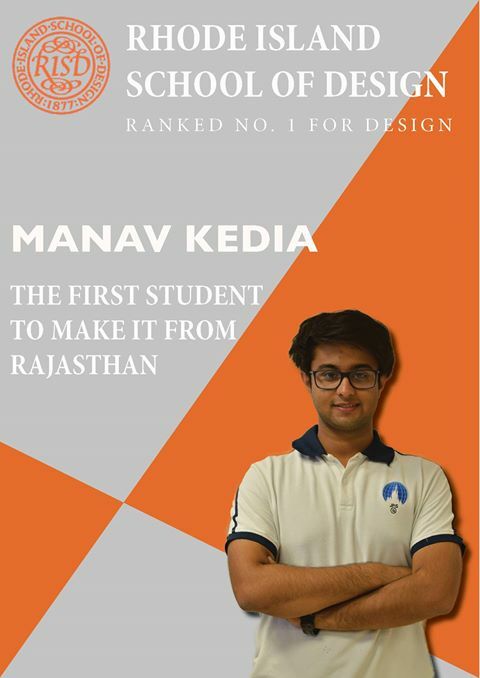 Manav Kedia makes it to the prestigious Rhode Island School of Design, Ranked No.1 in Design, higher than Stanford and Yale. Manav is the first student from Rajasthan to get accepted to RISD. The world is his canvas. 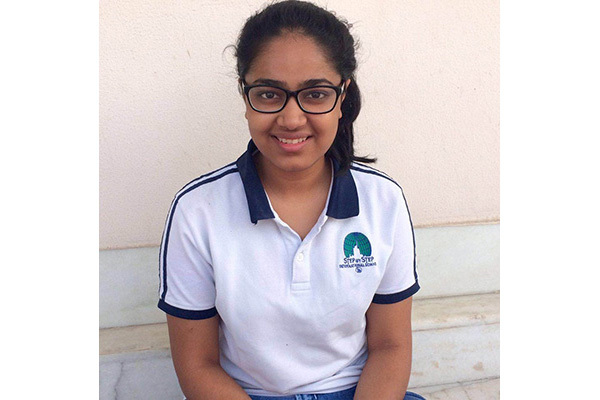 In another early acceptance, JPIS Head Girl Reet Agrawal makes it to the extremely competitive Brown University, Ivy League! JPites are making us proud everyday. 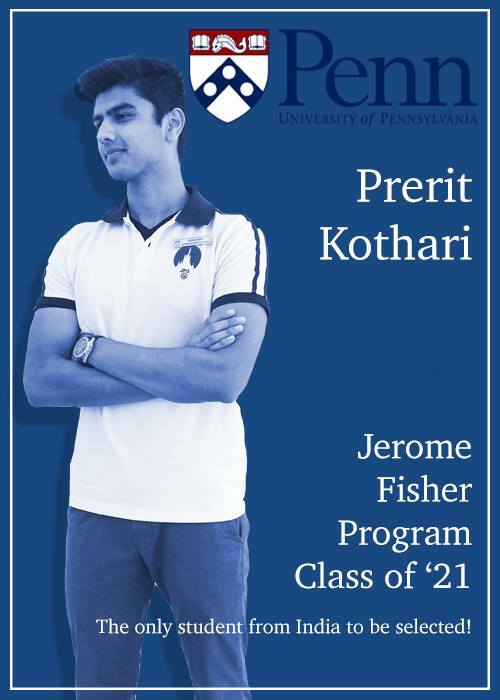 Our Head Boy Prerit Kothari makes it to the highly selective Jerome Fisher Program at Wharton, University of Pennsylvania. Prerit is the only student from India in the last three years to be selected, making not just his School but India proud! 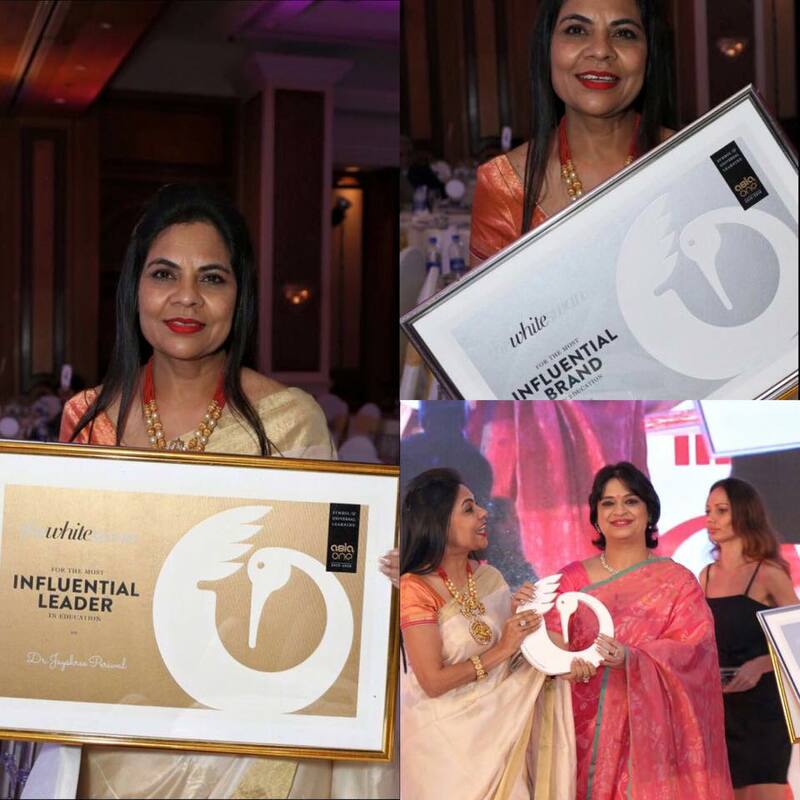 Our visionary and dynamic director, our inspiration and our powerhouse Dr Jayshree Periwal was awarded the 'Most Influential Education Leader in India Award' and JPIS was awarded the 'Most Influential Education Brand in India' by AsiaOne in a glittering ceremony held in Mumbai. Past award recipients include luminaries such as Malala, Nita Ambani, Mary Kom amongst many others. Moment of pride for all of us. 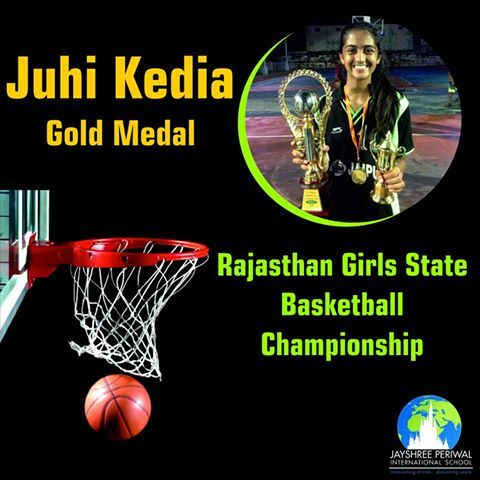 Showing her skills as a future Indian Olympian in the making, Juhi Kedia bags Gold at the Rajasthan State Girls Basketball Championship. JPites making us proud everyday. Glorious moment for Jayshree Periwal International School. 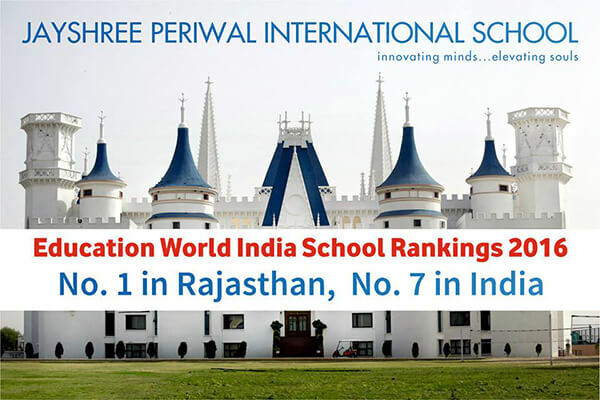 We have been ranked No.1 School in Rajasthan and No. 7 in the Country by Education World India School Rankings 2016! Jpites create history with stupendous IGCSE 2016 Results. 36 students secure over 90%. 5 Students get A*in all ten subjects. Our toppers Aryan Bhasin - 98%, Anushree Goyal - 97%, Shreya Goyal - 96.4%, Yashwardhan Bairathi - 96.4% and Mansi Bhandari - 96.2% make us proud. Congratulations! 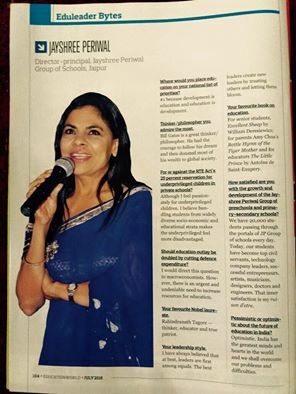 Our visionary director, Dr. Jayshree Periwal who has pioneered international education in India shares her insights during an interview with Education World. Her dedication and perseverance inspires the faculty and students of JPGS everyday. 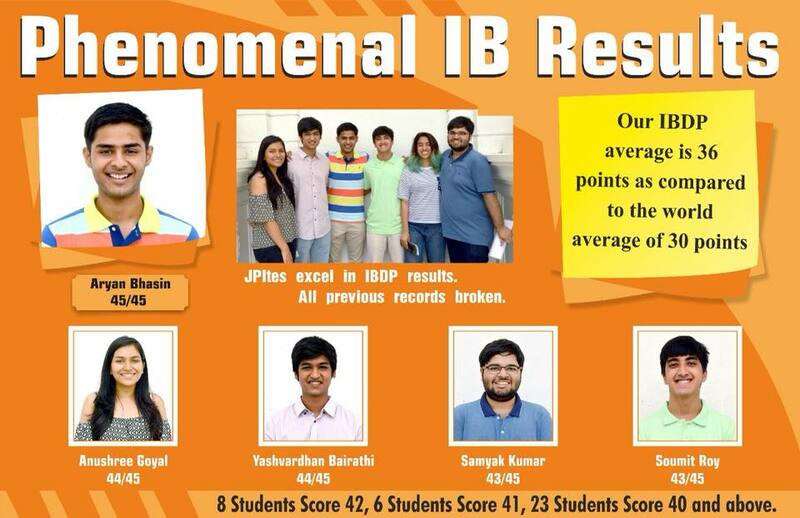 Its a glorious moment for JPIS to have received the best IBDP Grade 12 results in Northern India! Priyal Gupta tops with 44 out of 45 points. Many students score 40 points and above. The results display our commitment towards academic excellence. Ketan Bajaj and Shivani Jain of 12 IB of JPIS make it to the prestigious Narsee Monjee College, Mumbai. Thanks to IB, they cleared the entrance examination without any preparation. 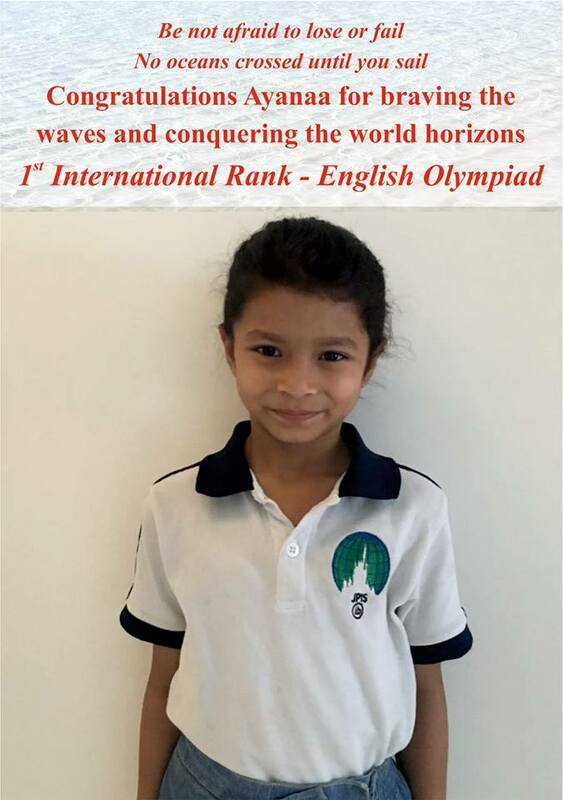 Ayanaa Lalwani makes us extremely proud by securing 1st International Rank in the SOF English Olympiad! Congratulations to the entire JPIS family. 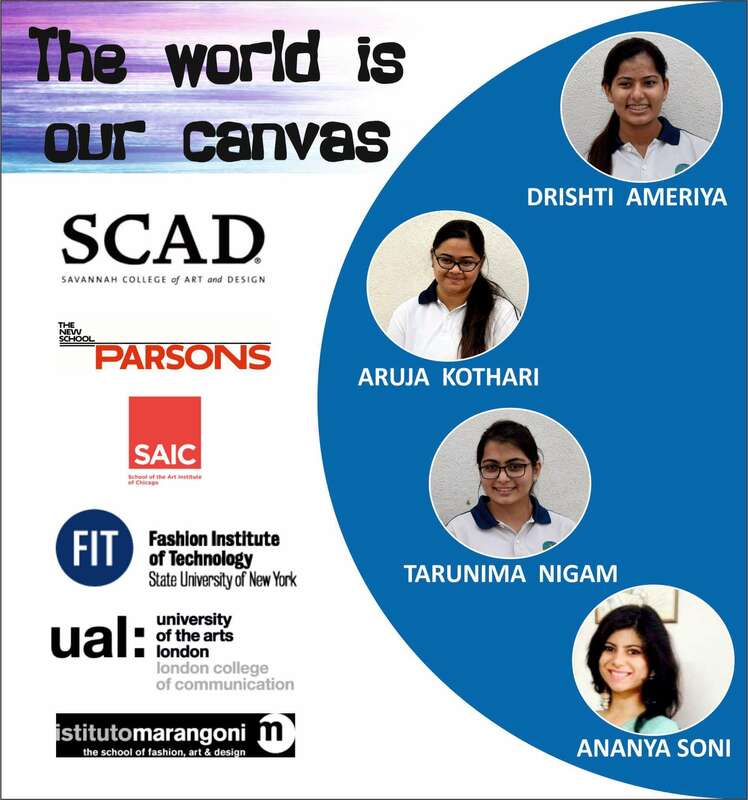 The world is their canvas when JPIS Art Students make it to the Best Art and Fashion Institutes in the World - School of Art Institute of Chicago, Parsons New York, Fashion Institute of Technology, Savannah College of Art and Design, London College of Fashion and Istituto Marangoni. The total scholarship received by these students exceeds Rs.1.15 crore from SAIC, Parsons and SCAD. A palette of focus, determination and hard work can paint your future with the best hues. 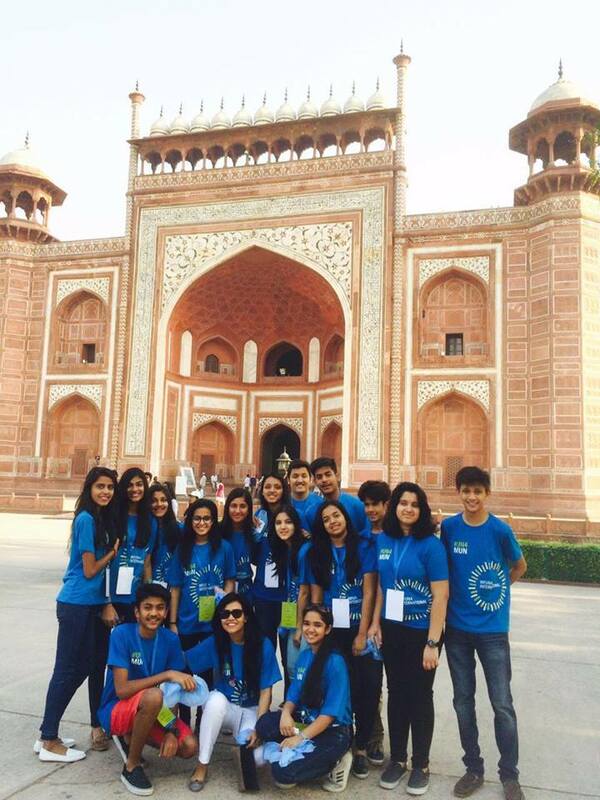 JPites make their mark yet again by excelling at the Sanskriti Model United Nations in Delhi. Mohammed Darvish wins Best Delegate and Dhruv Khandelwal gets Special Mention! They believed they can and they did. 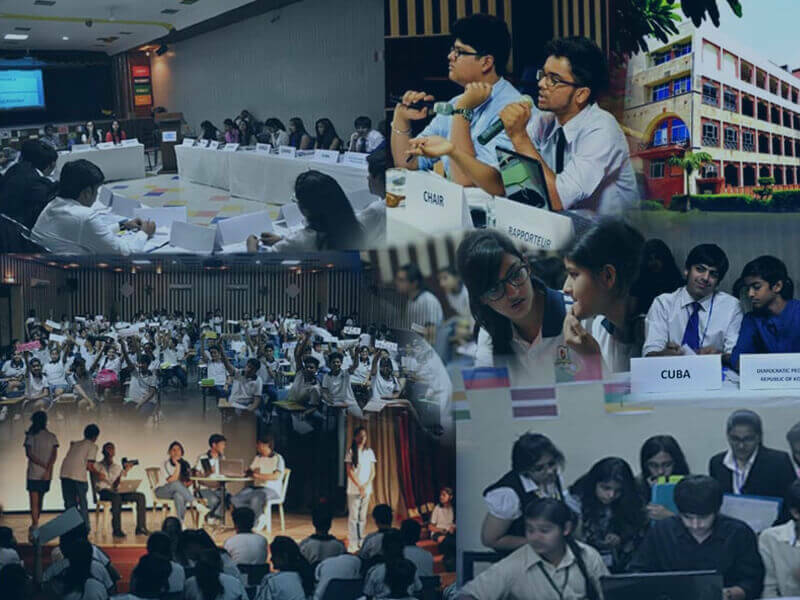 Its a moment of great pride when JPites excel not just at National Model United Nations but also at International MUNs. 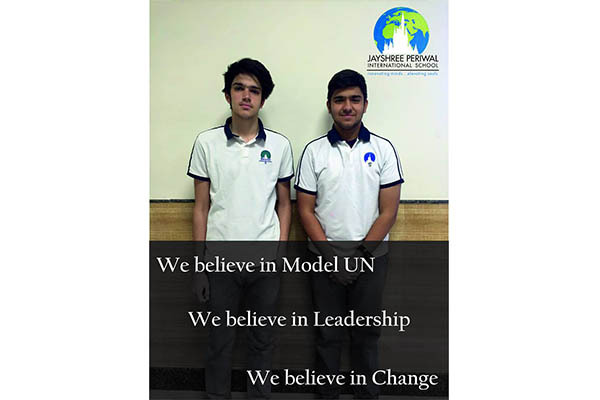 JPites win the Best Delegation Award at the World Federation of United Nations Association MUN held in India for the first time! 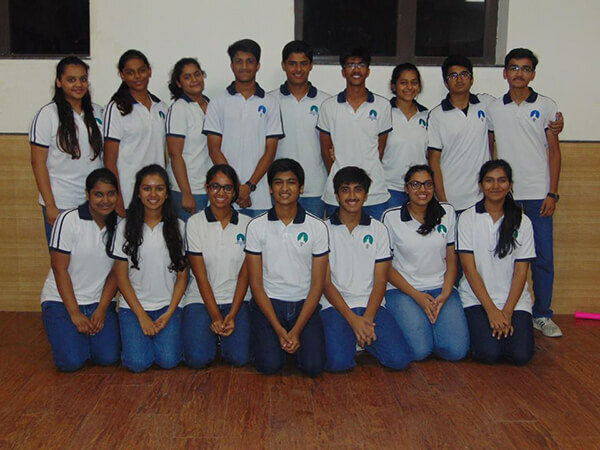 The team comprised of Aadesh, Aaryan, Tanisha, Dhruv, Eesha, Isha, Kashish, Manvi, Nakshatra, Priyanshi, Raashi, Samarth, Shubh, Simran, Snehil and Archana. Eesha and Aadesh also win the Best Diplomacy Award. 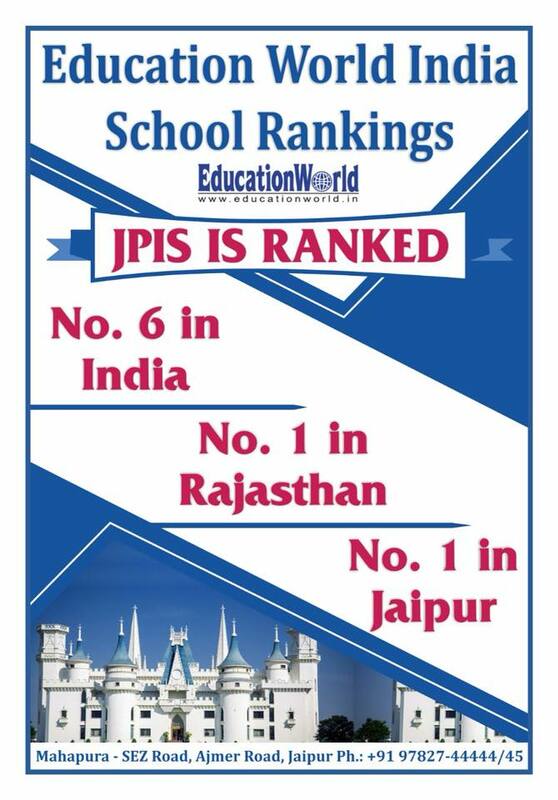 Keep the JPIS flag soaring high. 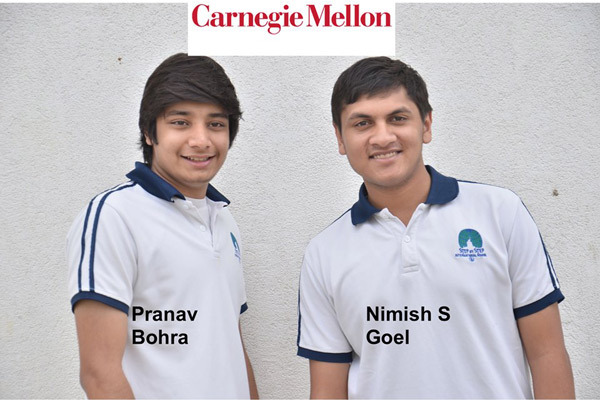 JPites Nimish S Goel and Pranav Bohra have been accepted at the renowned Carnegie Mellon University. CMU is one of the most selective and prestigious universities in the World. 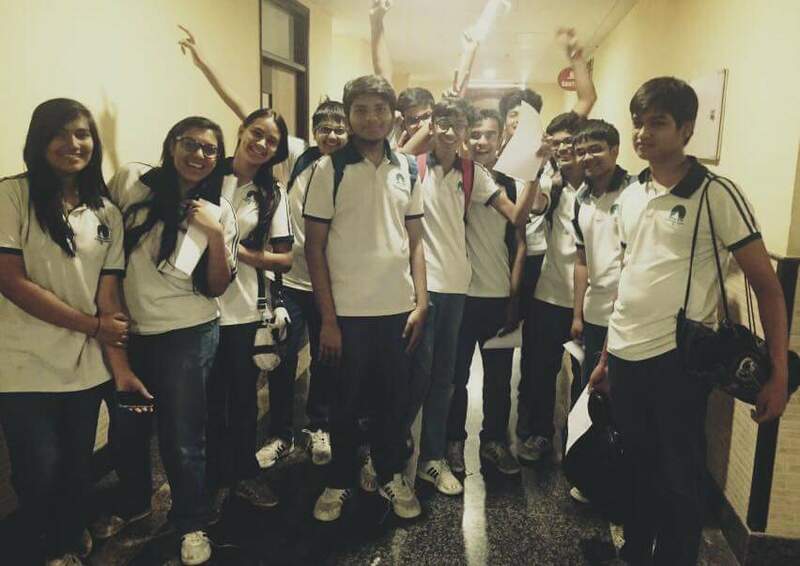 Nimish will be pursuing Engineering and Pranav will be heading towards the field of Economics. The summer is fast approaching and already our little prodigies are planning for the most productive use of their summer time - the Stanford Summer Programme at JPIS. Last year's selected students spent two weeks at JPIS feeding their curiosity for game design with Sherol, sharpening their intuition and logic for problem solving with Gary and exploring the unchartered through creative writing with Margaret, all of whom came all the way from Stanford to be with us. Heres a throwback to the invigorating and fun filled two weeks of Stanford@JPIS! 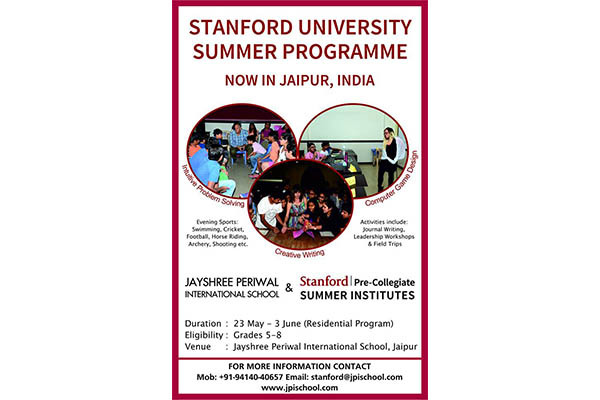 This year the Stanford Summer Programme is being held from May 23 - June 3 for Grades 5-8. 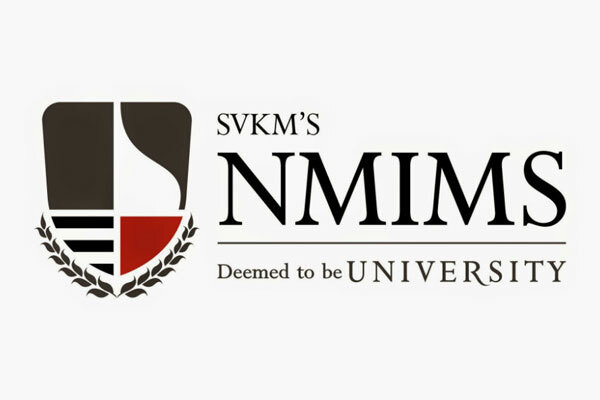 All motivated students across India are eligible to apply. 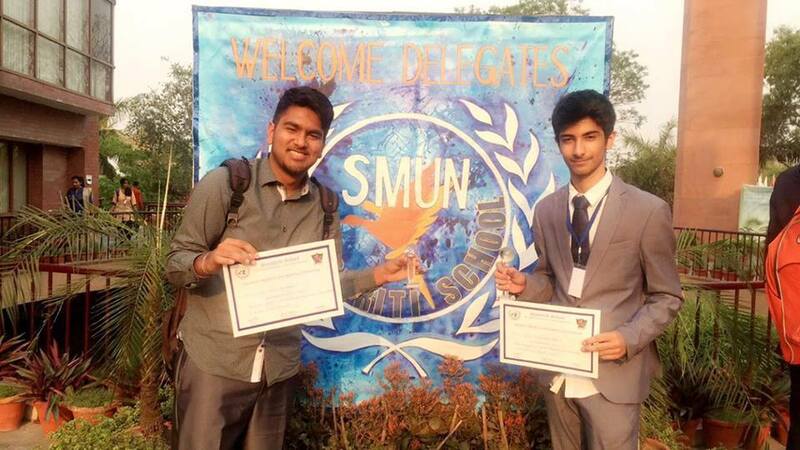 JPites make us proud once again as MUNners Raj Ramnani and Rehan Kapur bag two prizes at the Mayo College Model United Nations! 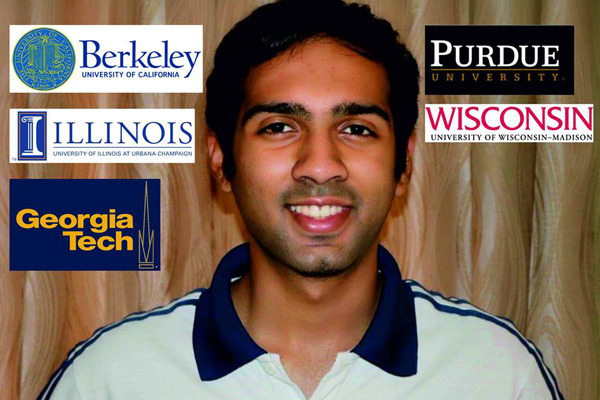 Sumanyu Maheshwari, our IB boarding student is faced with a dilemma of Engineering at the highly selective UC Berkeley or at GeorgiaTech, also ranked No.1 for his course choice of Industrial Engineering. He also has acceptances from Purdue, Wisconsin and UIUC. Presenting proud JPite - Sumanyu!! 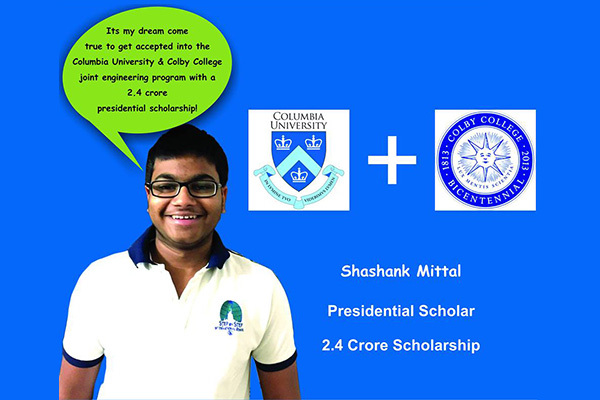 Shashank Mittal gets admitted into the joint engineering program by Columbia University and Colby College with a 2.4 crore scholarship. 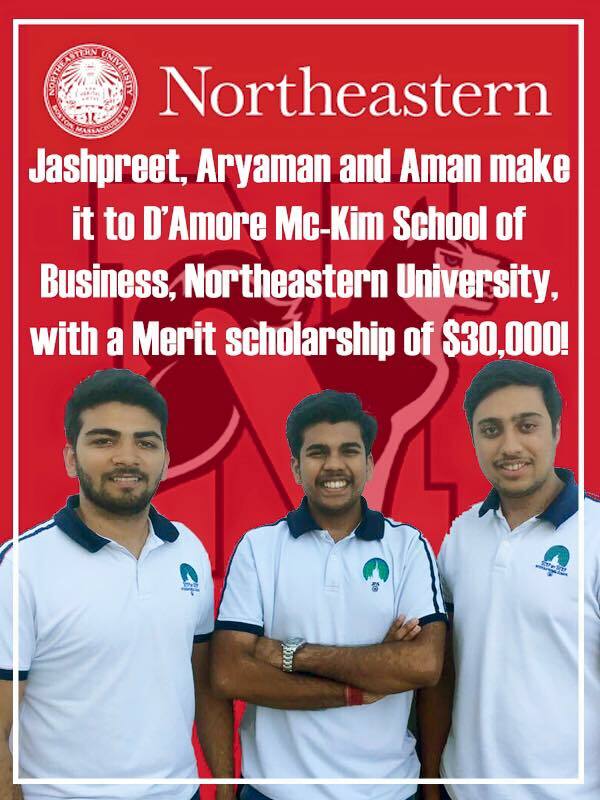 Mitre Athaiya gets accepted by Claremont McKenna College with a 1.7 crore scholarship. 10 JPites make it to New York University. 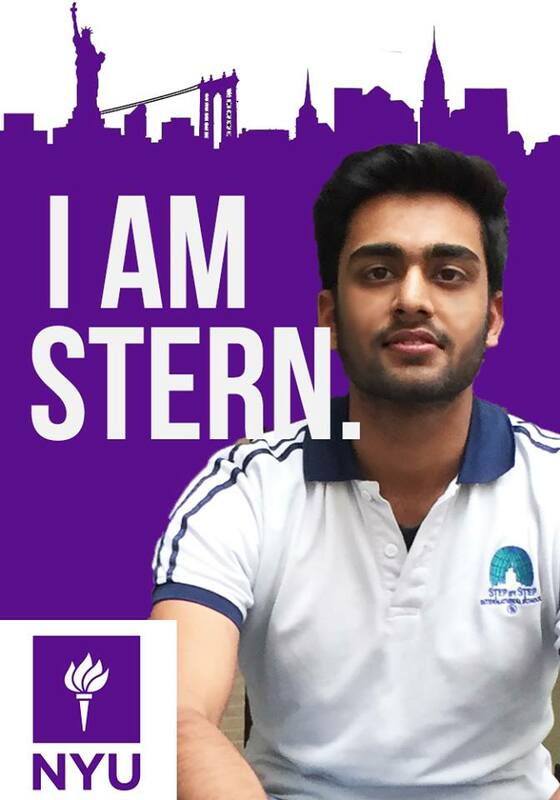 Archit and Priyal make it to NYU Stern, the most competitive business school. 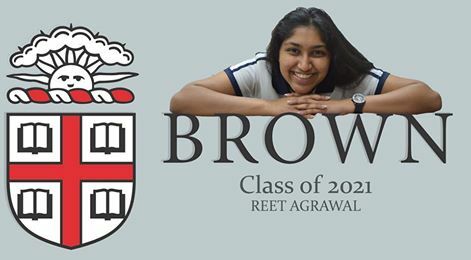 Priyal Gupta gets accepted into Brown University, Ivy League.